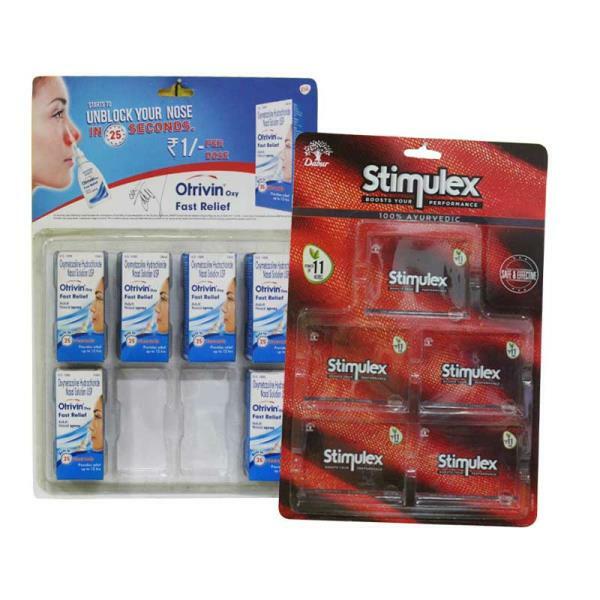 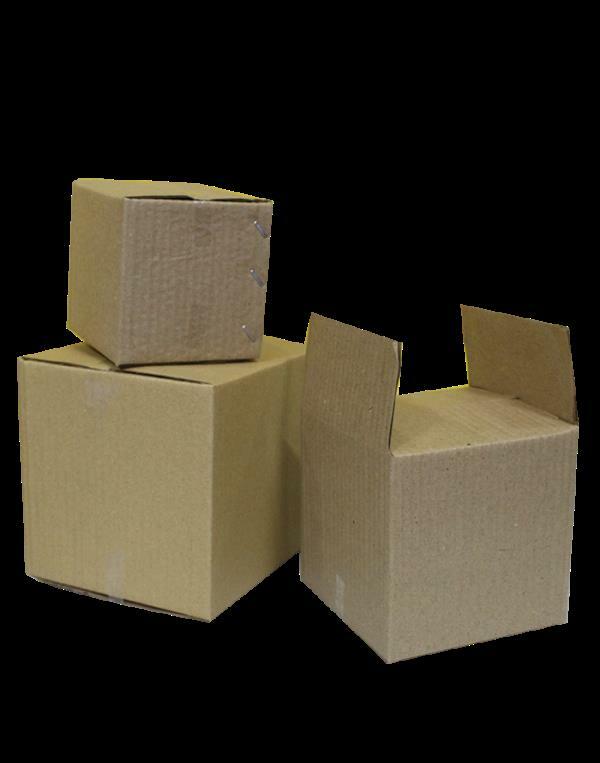 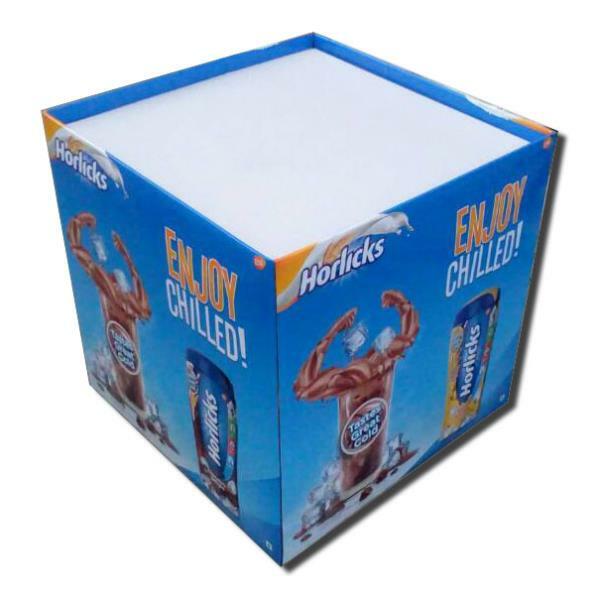 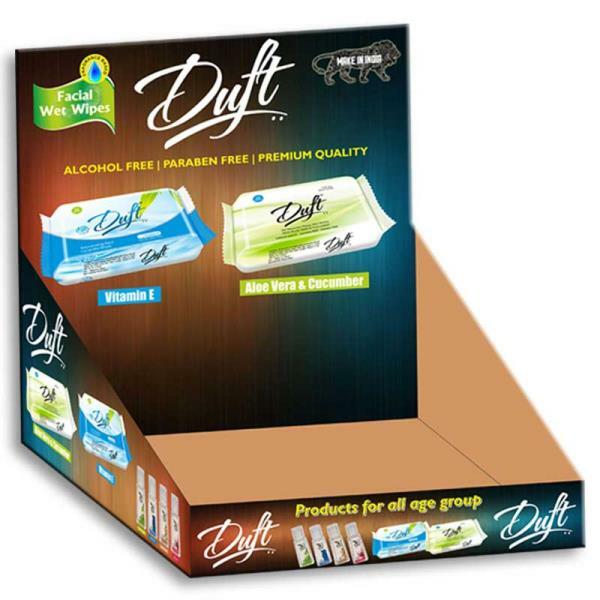 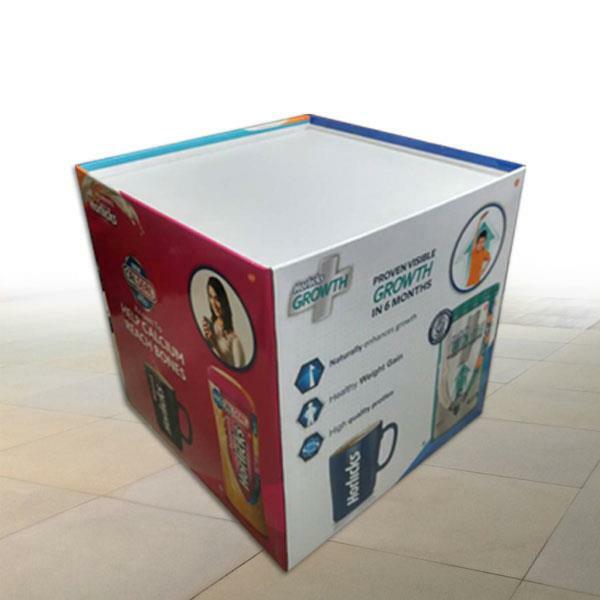 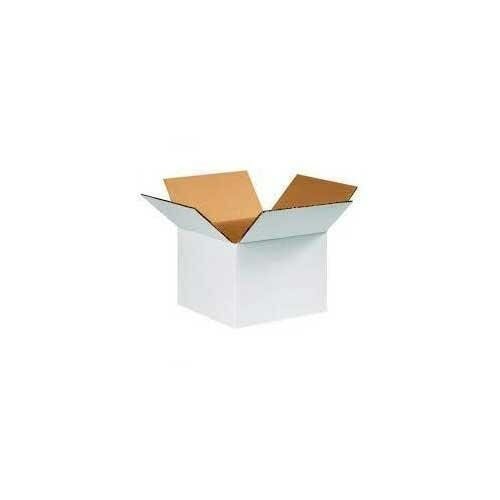 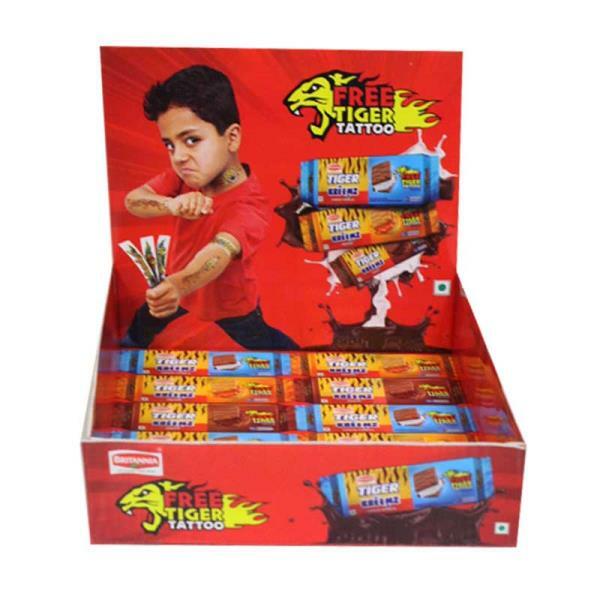 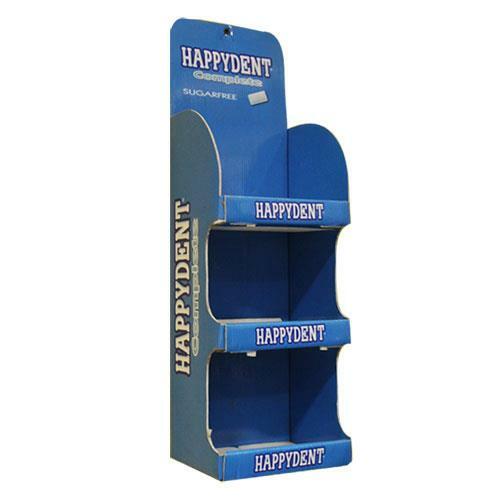 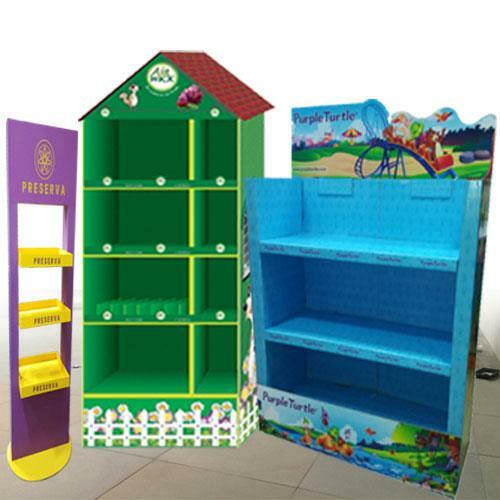 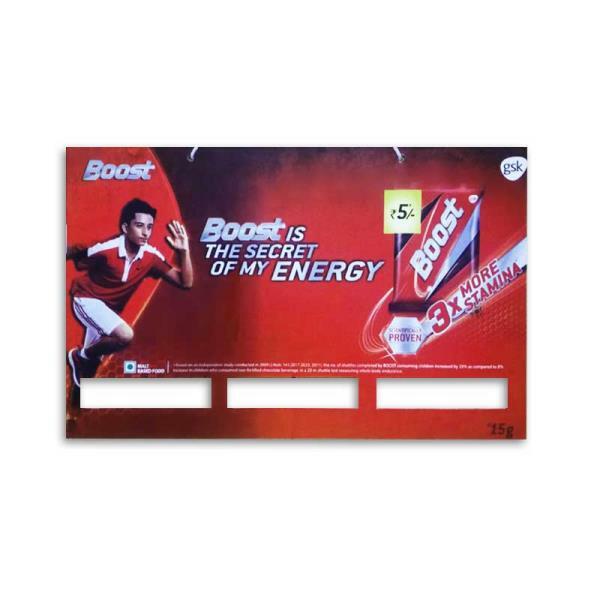 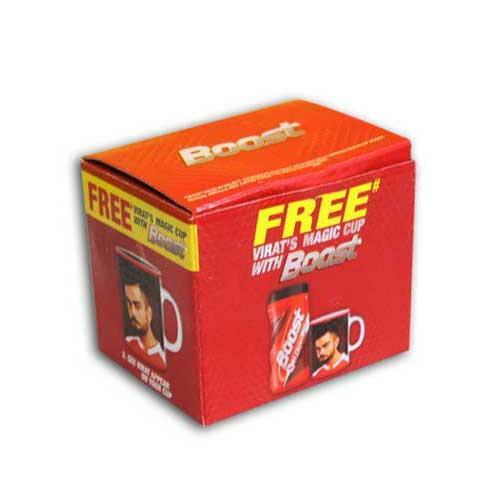 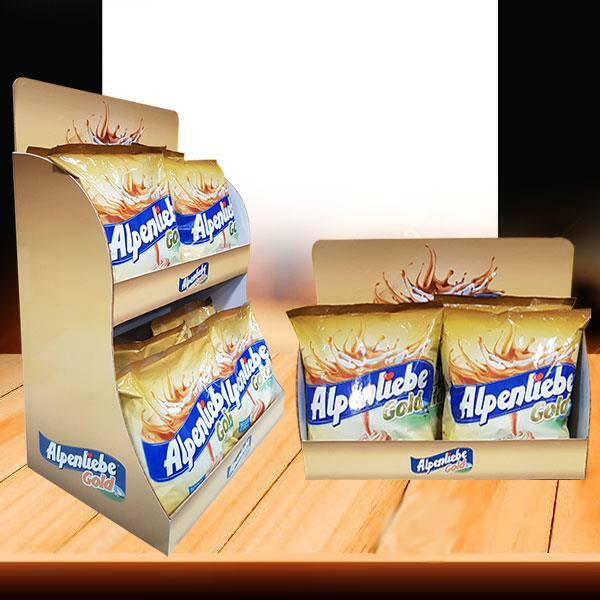 Cardboard Dump Bins Printing Services in India Dump Bin displays are an eye catchy way of displaying and promoting your products. 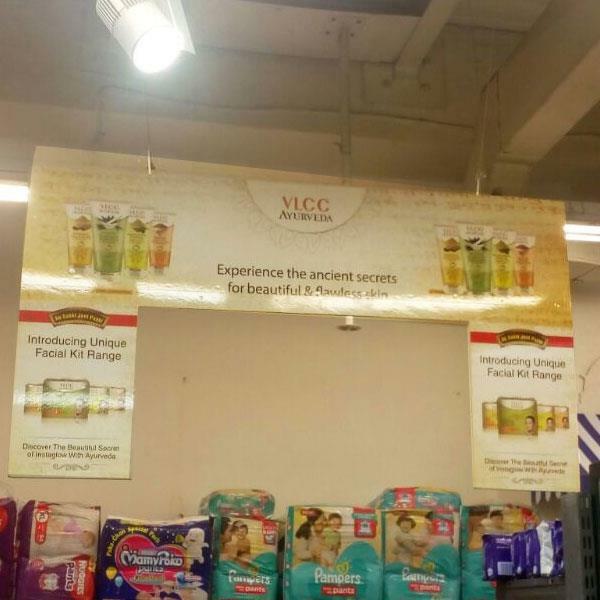 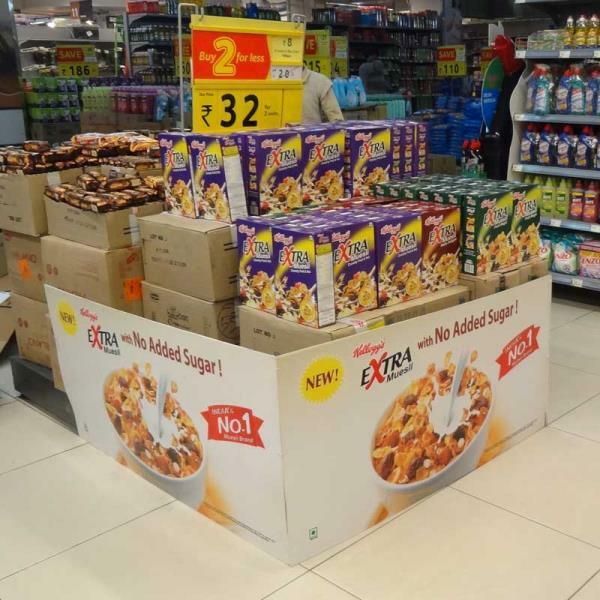 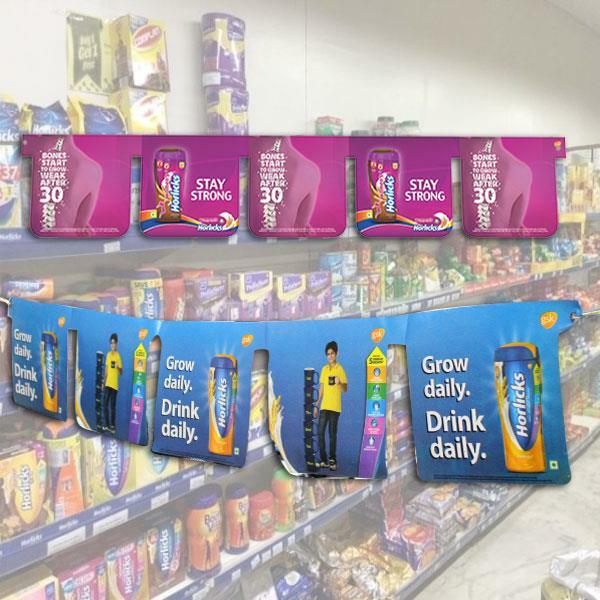 Sriyug Print Production can create any size or shape of dump bin depending on the available retail floor space and the product you wish to display. 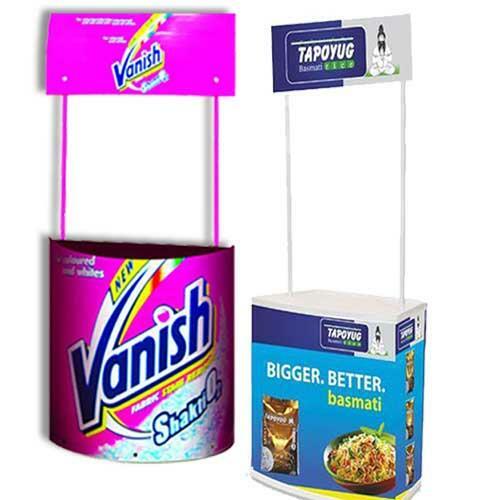 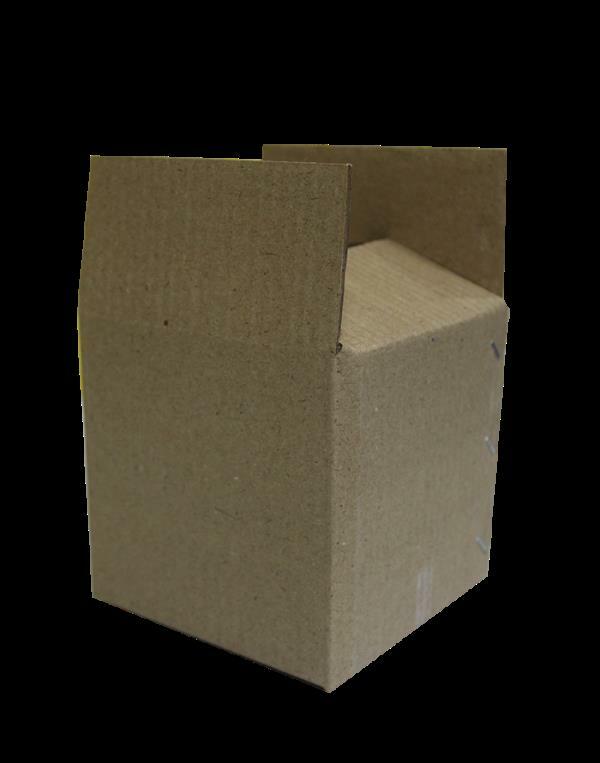 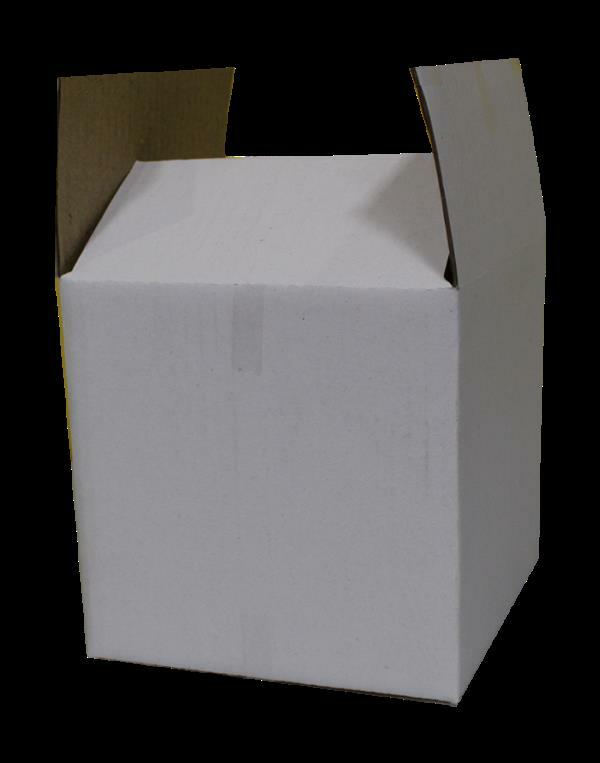 Printable cardboard dump bin displays are the perfect style for selling quick moving stocks. 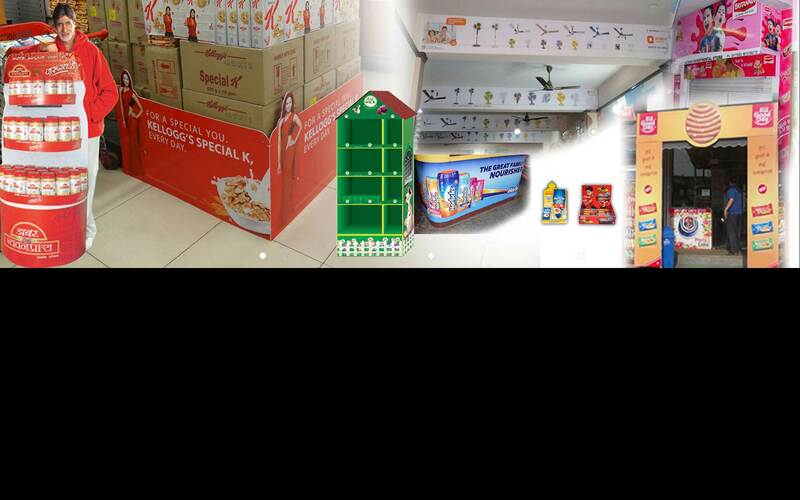 For any queries please contact us on 011-26250161, 26258638 or checkout our page www.sriyug.net . 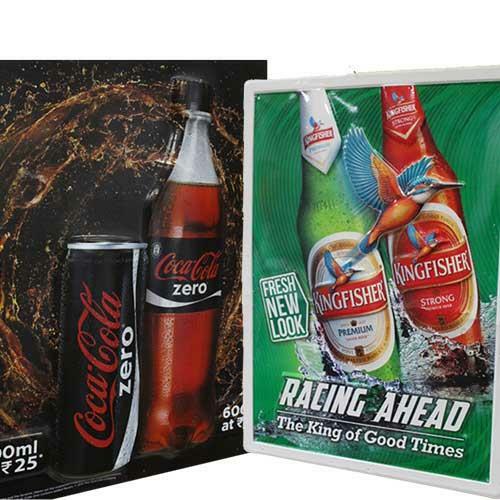 Promotional Table Printing Services in India We are one of the leading Promotional Table or Promo Table printing services provider in India. 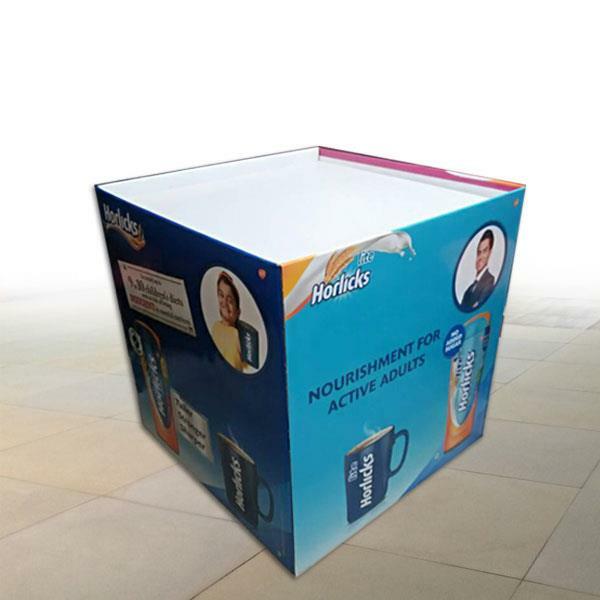 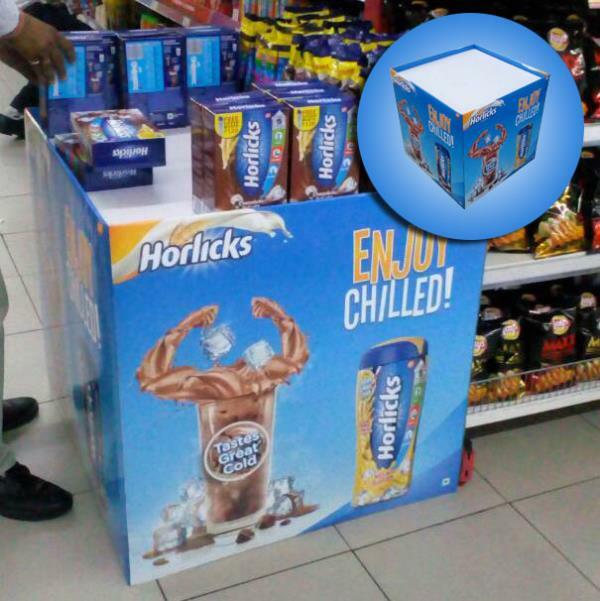 These light weight and easy to fold PVC tables are considered as one of the most effective marketing tools for outdoor advertising and on spot sales in a very economical way. 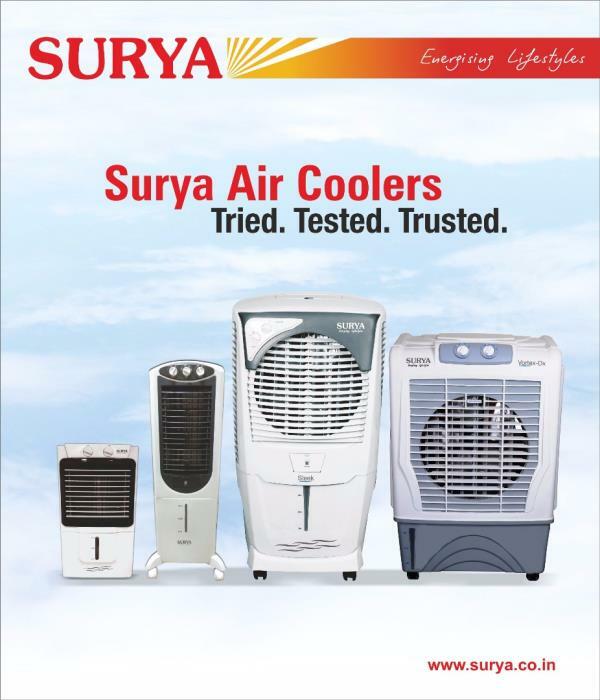 For any queries please contact us on 011-26250161, 26258638 or checkout our page www.sriyug.net . 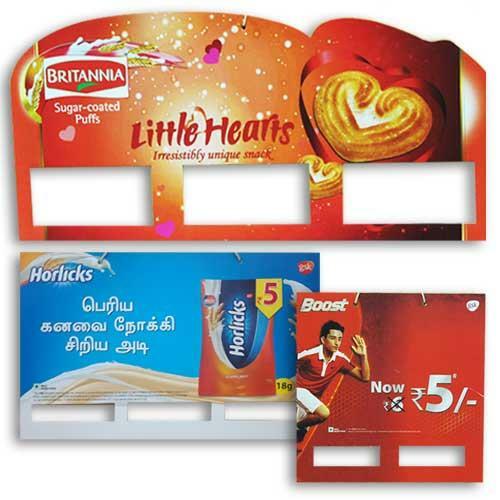 Counter Top Printing Services in India We provide Counter Top Printing Services in India. 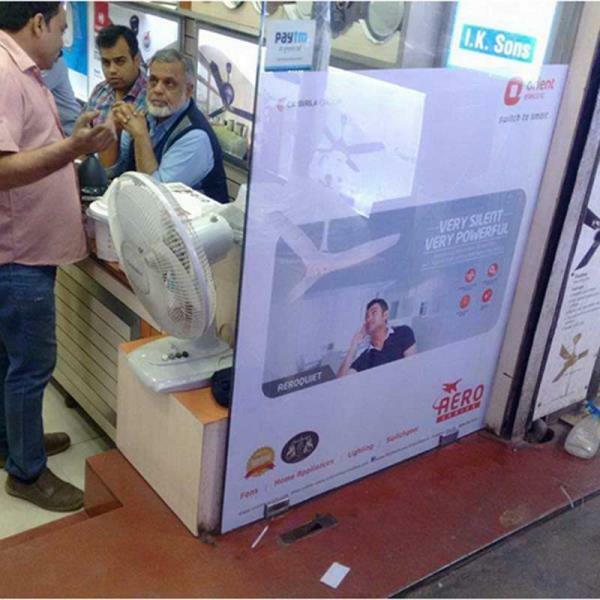 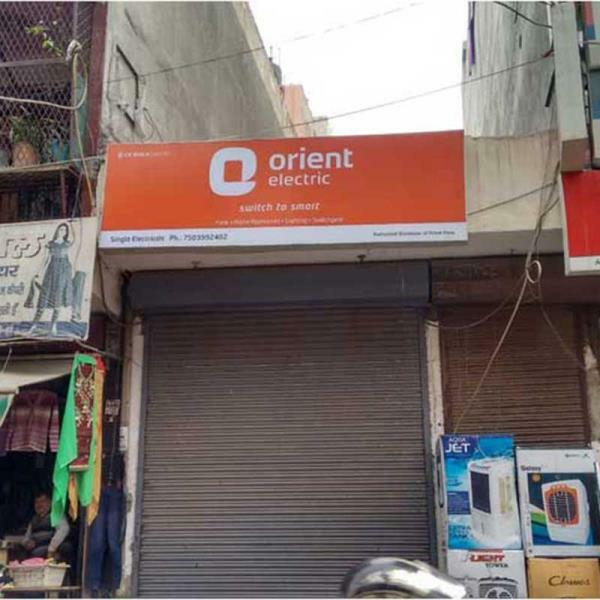 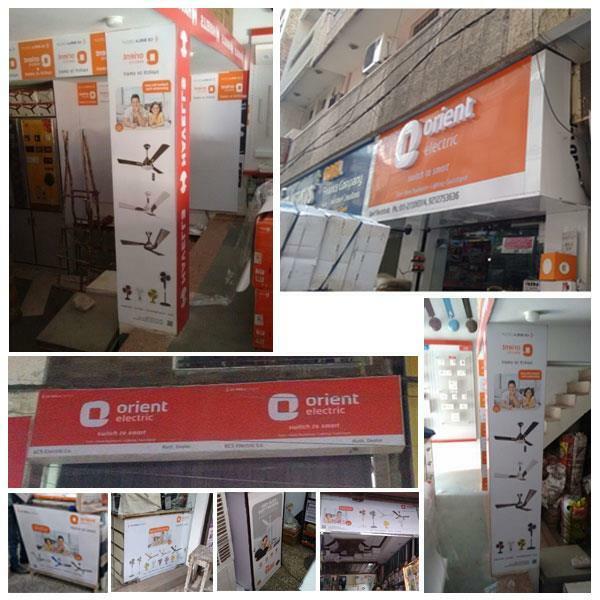 The printing on duplex, pasting on corrugated sheet and die cut is done as per client's requirement. 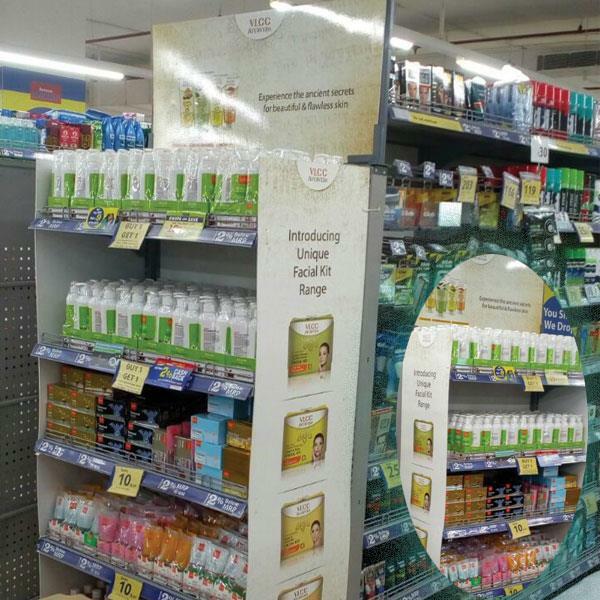 Counter Top is good for visibility and as well as for product caring. 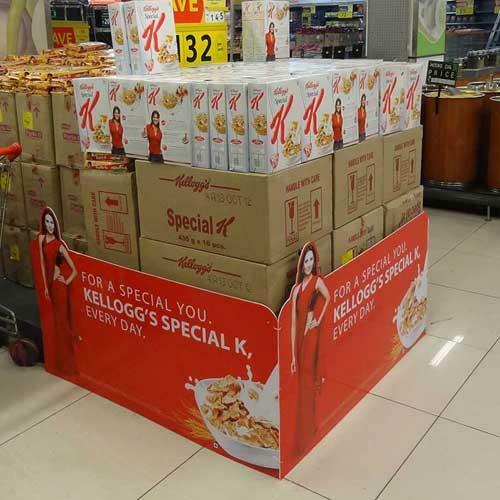 Also, it is a low budget advertising element. For any queries please contact us on 011-26250161, 26258638 or checkout our page www.sriyug.net . 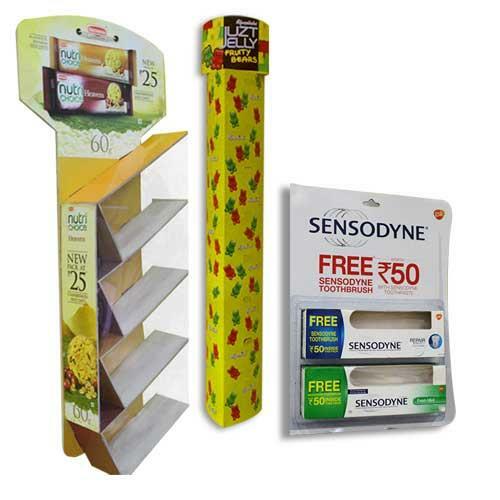 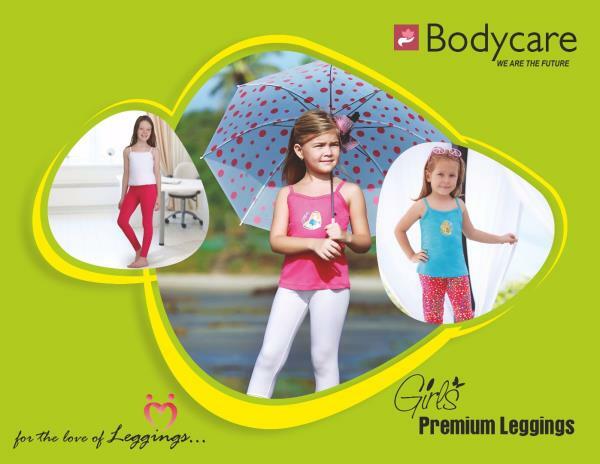 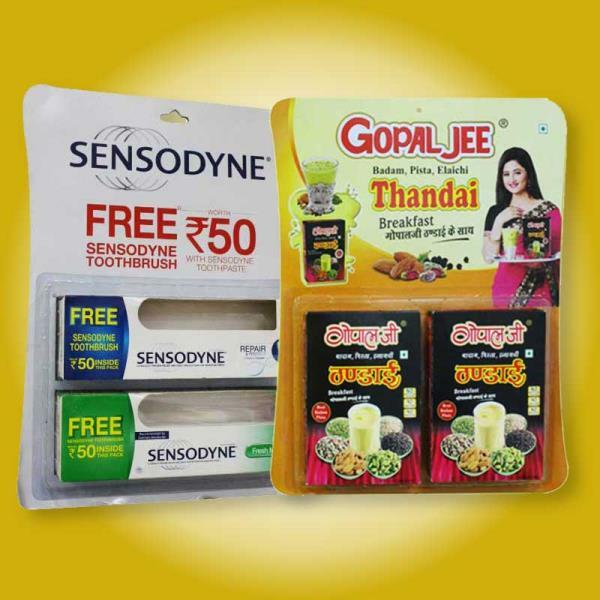 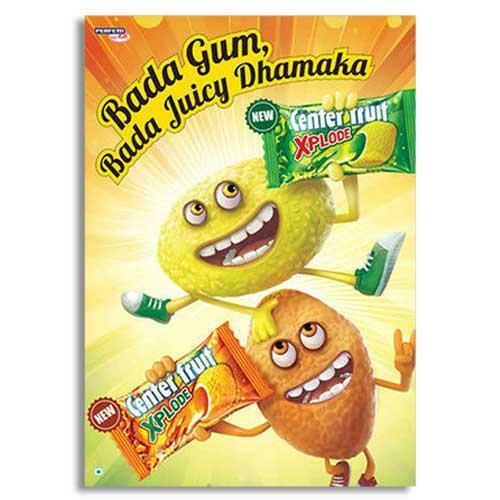 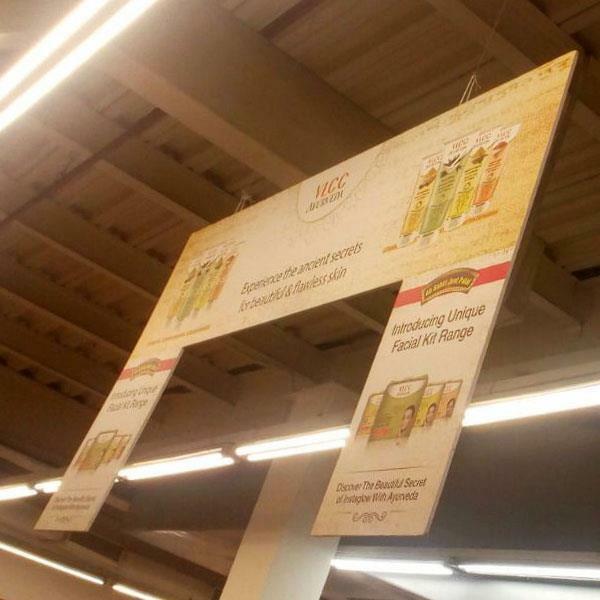 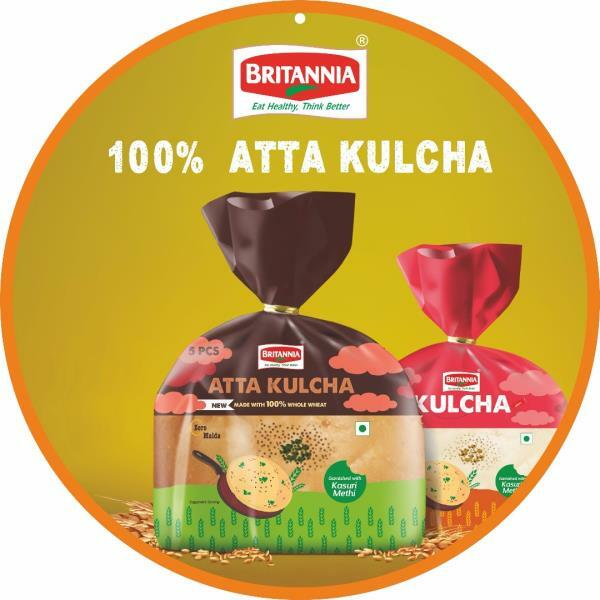 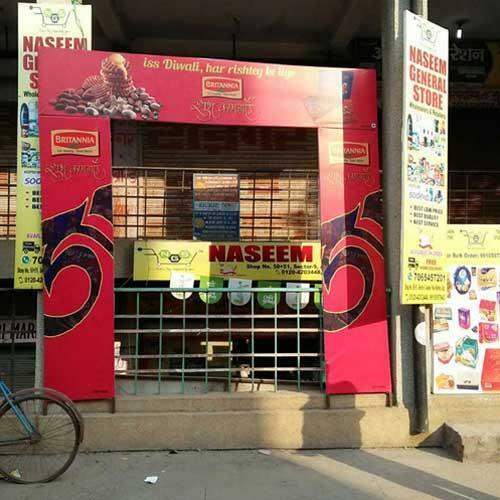 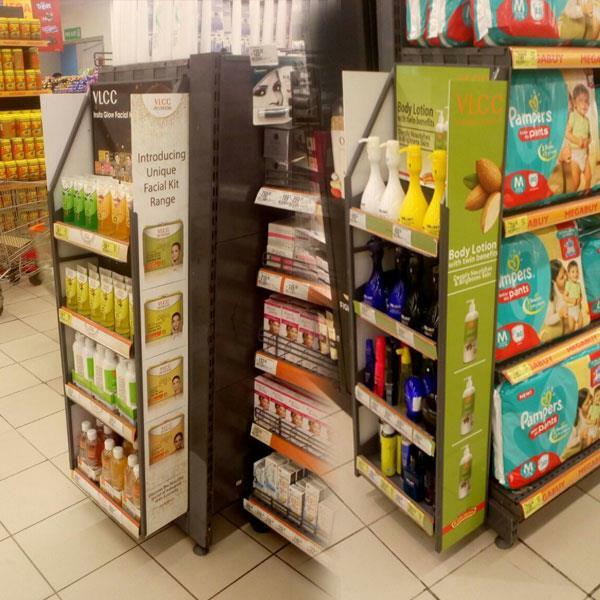 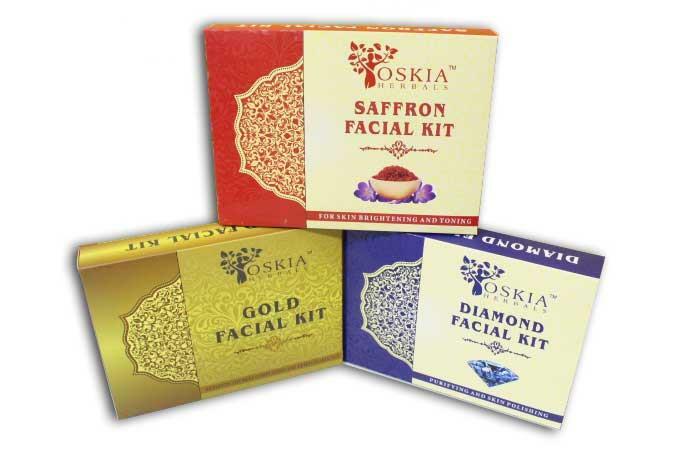 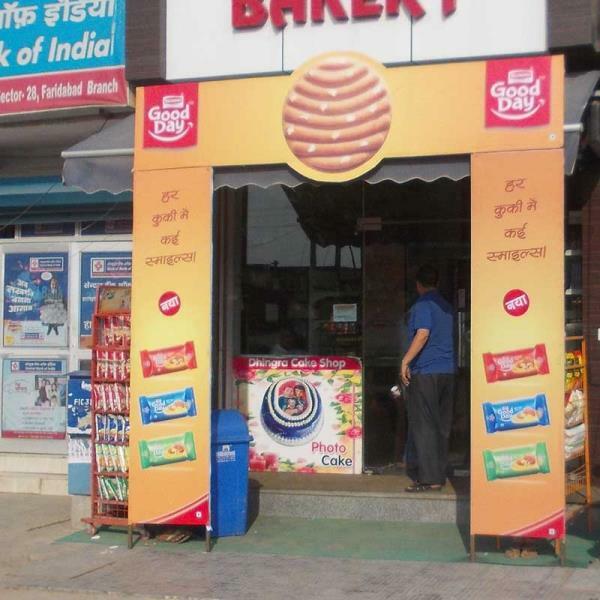 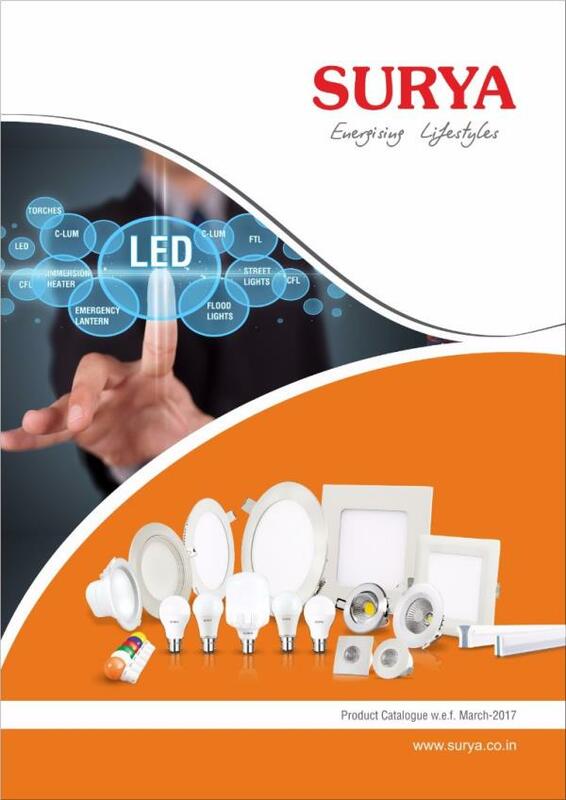 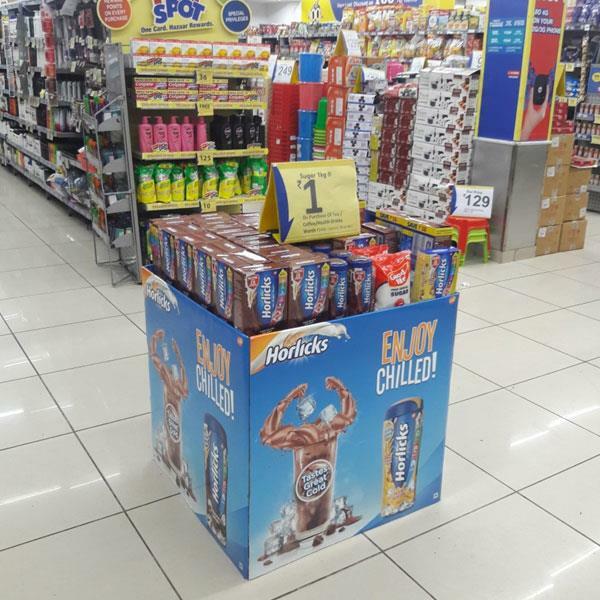 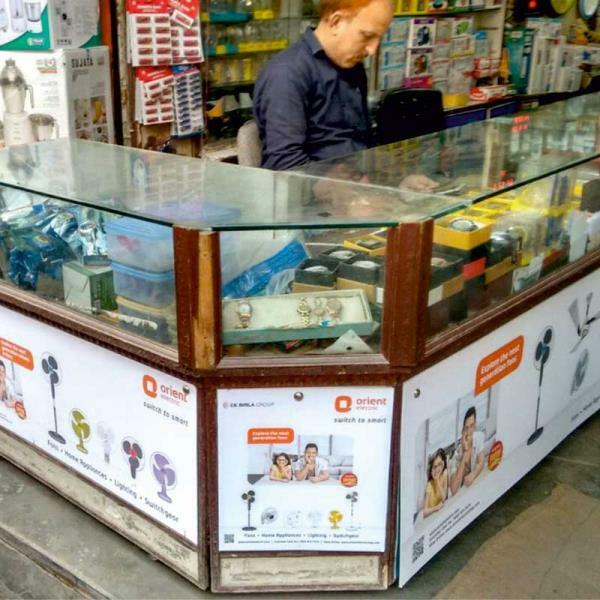 Modern Trade -END CAP Printing Services in India Our Modern Trade - END CAP is a useful and cost effective branding item for getting products onto the sales floor quickly and efficiently. 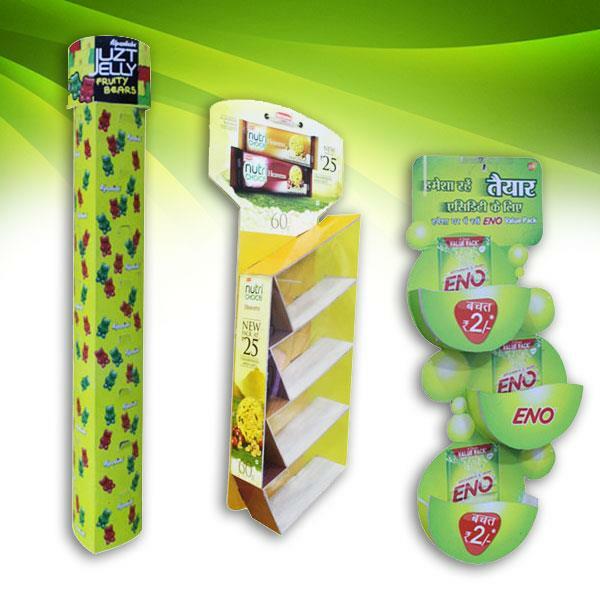 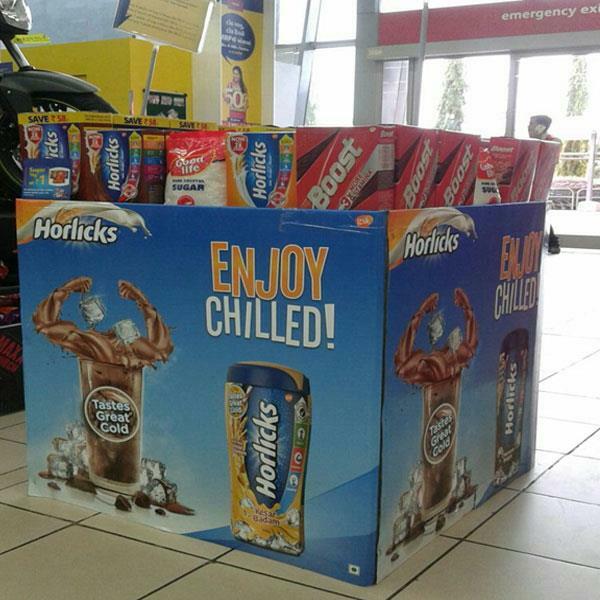 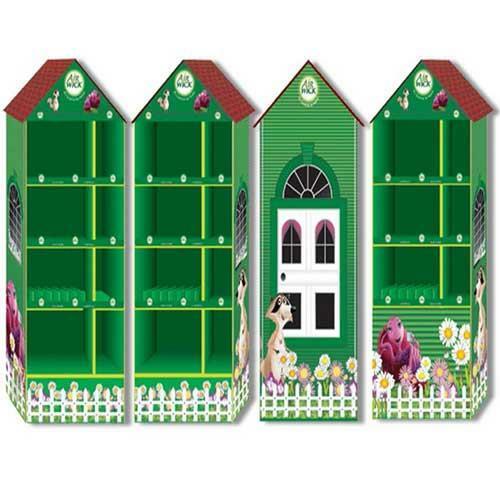 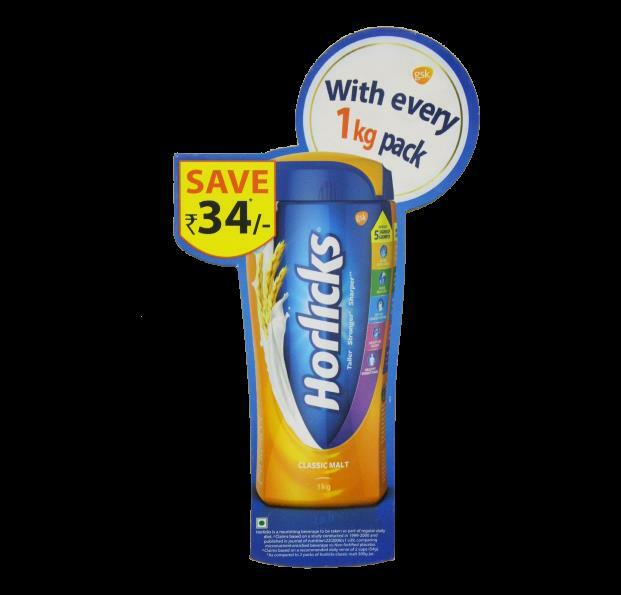 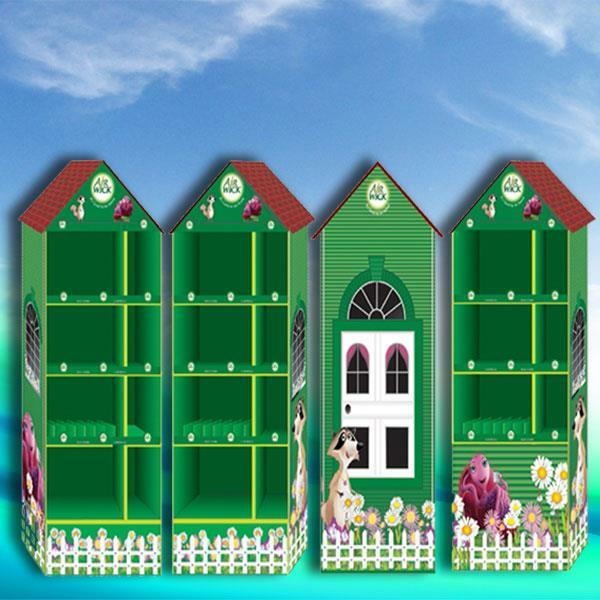 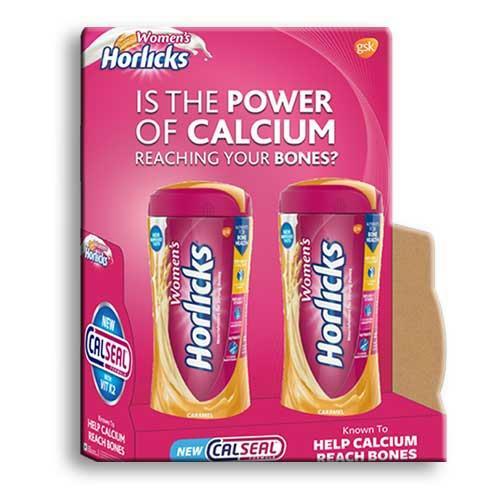 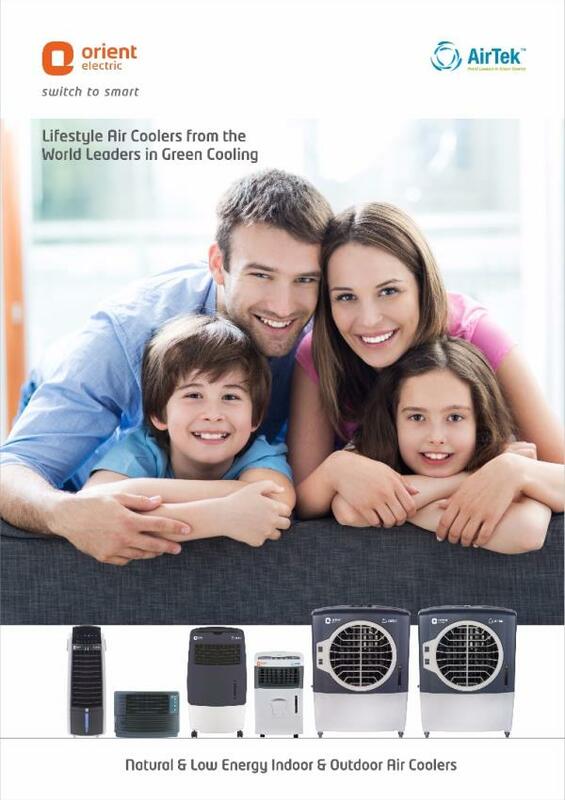 Ideal for promoting items, seasonal offers and limited edition products. 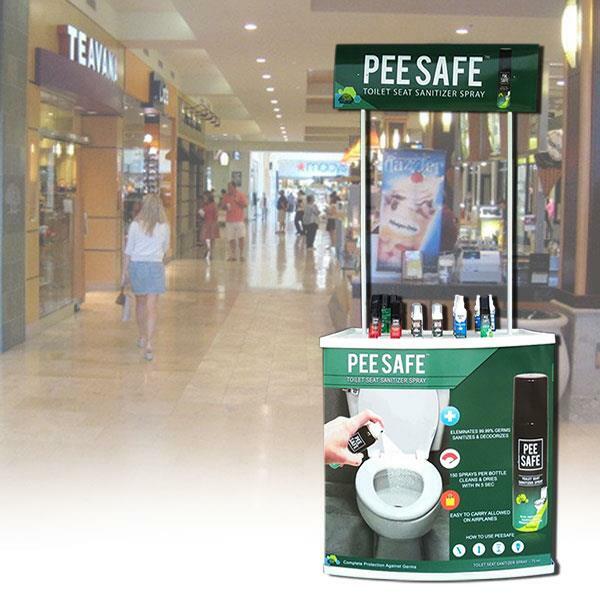 Perfect for having the shopper’s attention exactly when and where you need to. 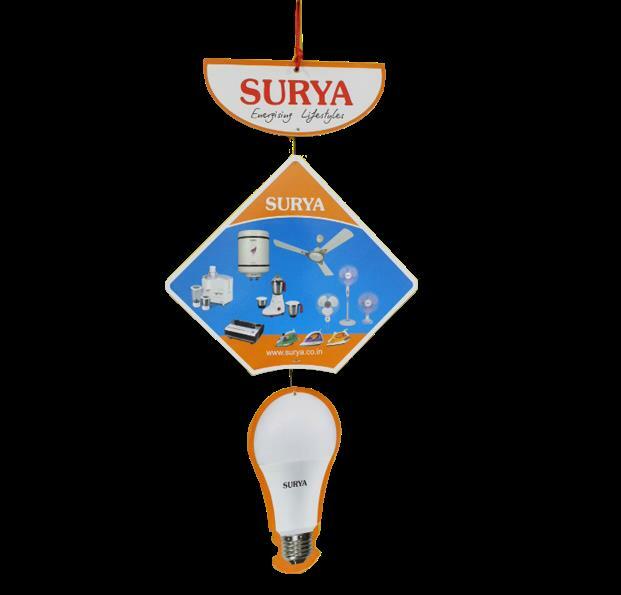 For any queries please contact us on 011-26250161, 26258638 or checkout our page www.sriyug.net . 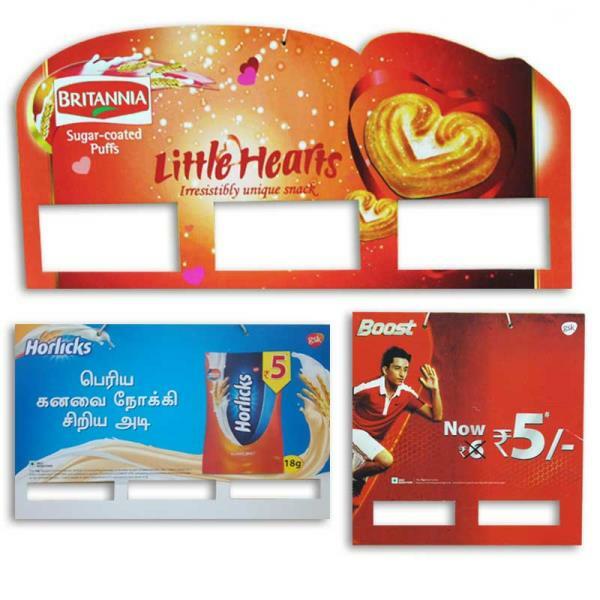 Arch Gate Printing Services in India We are offering a comprehensive range of Arch Gate Printing Service in India. 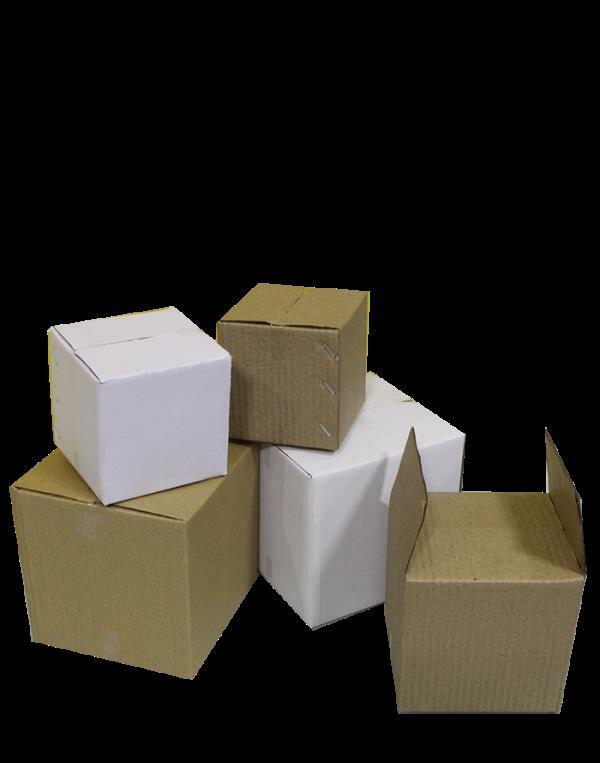 These services are rendered by our talented and experienced professionals according to the client’s requirement. 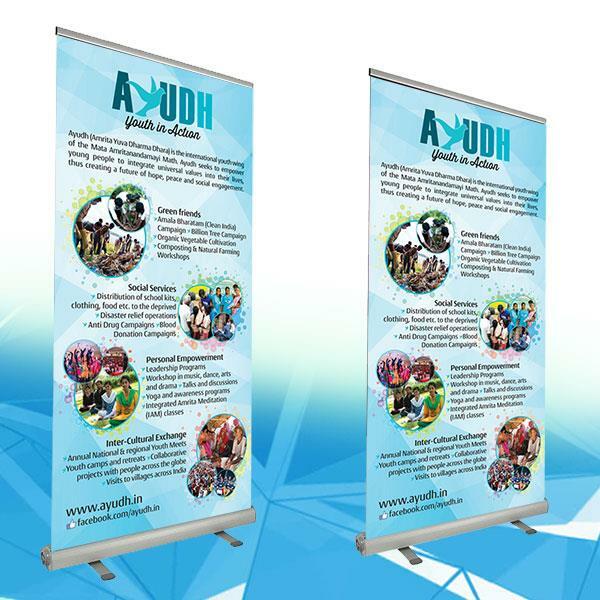 In addition to this, our offered services are much admired due to their perfect execution, clear print and client-focused approach. 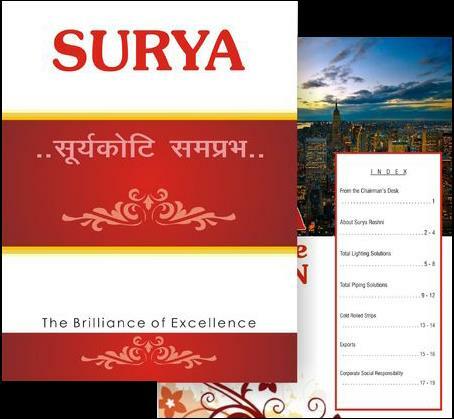 For any queries please contact us on 011-26250161, 26258638 or checkout our page www.sriyug.net . 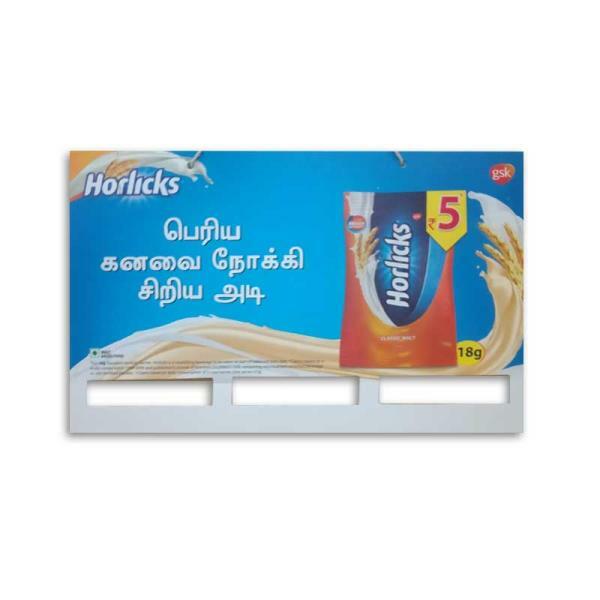 Sachet PVC Hanger Printing Services in Delhi NCR Sriyug Print Production is offering a large assortment of customized sachet pvc hanger printing services in Delhi, NCR. 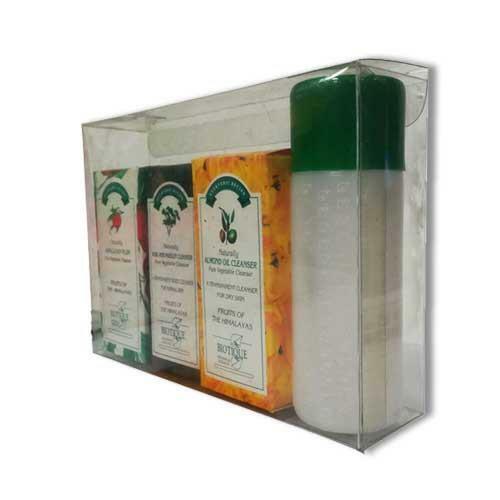 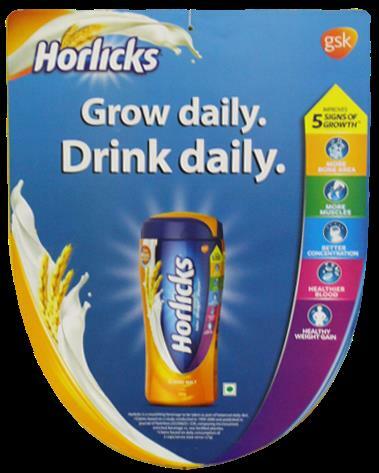 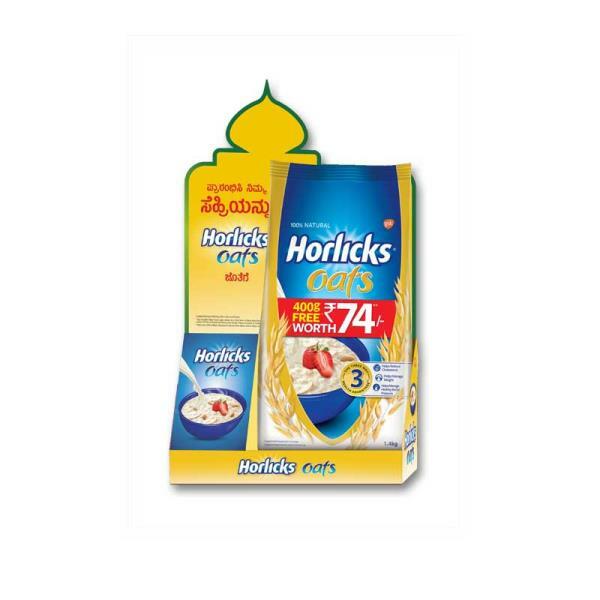 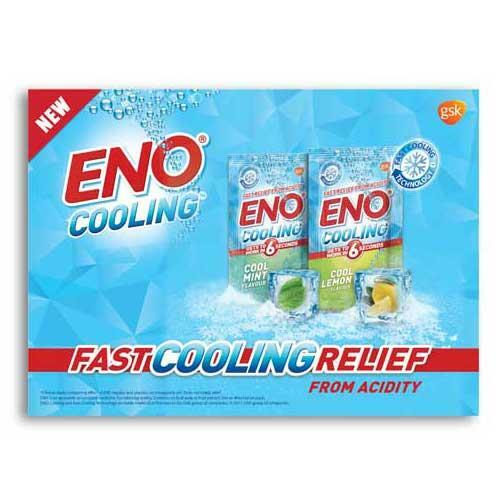 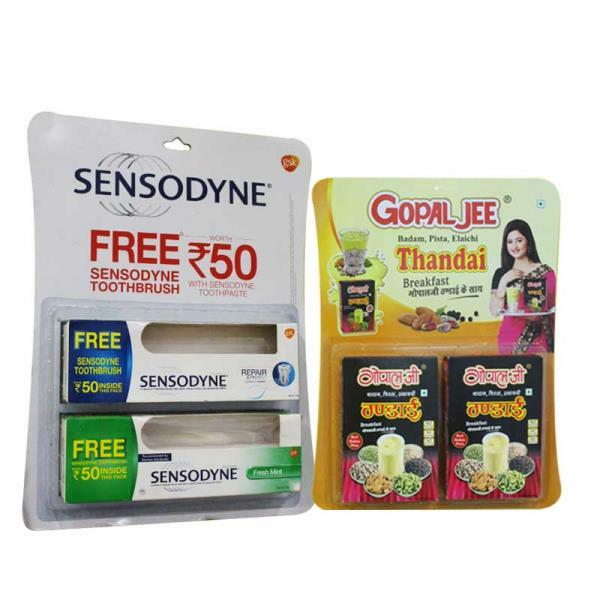 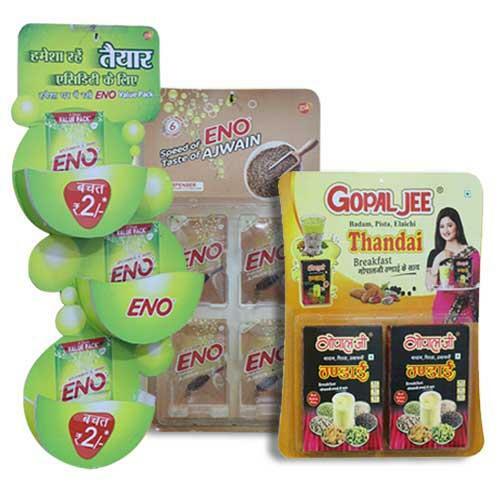 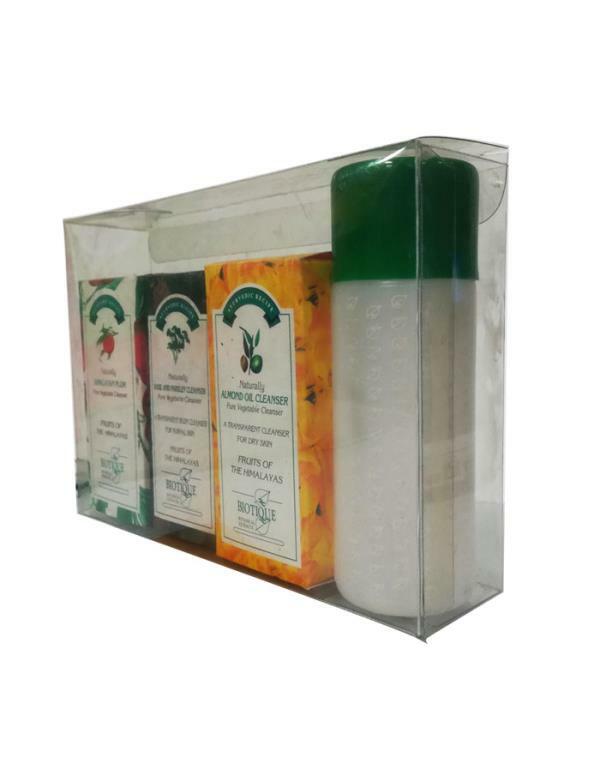 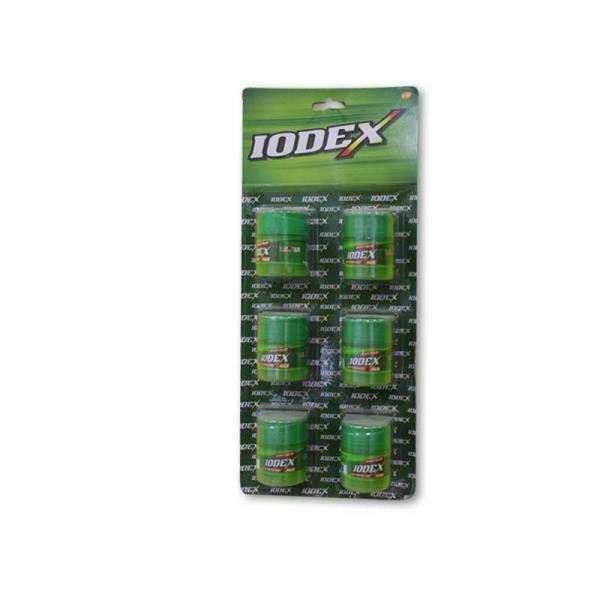 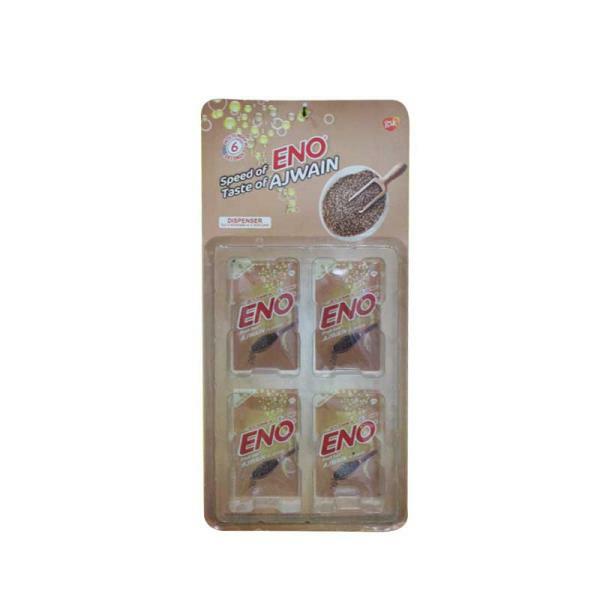 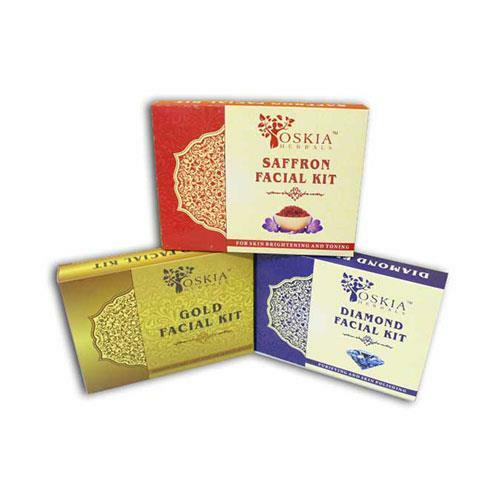 These products are used for hanging sachet of products like Liquid Soap, Shampoo, Eatable items in a better and eye catchy way in retail shops. 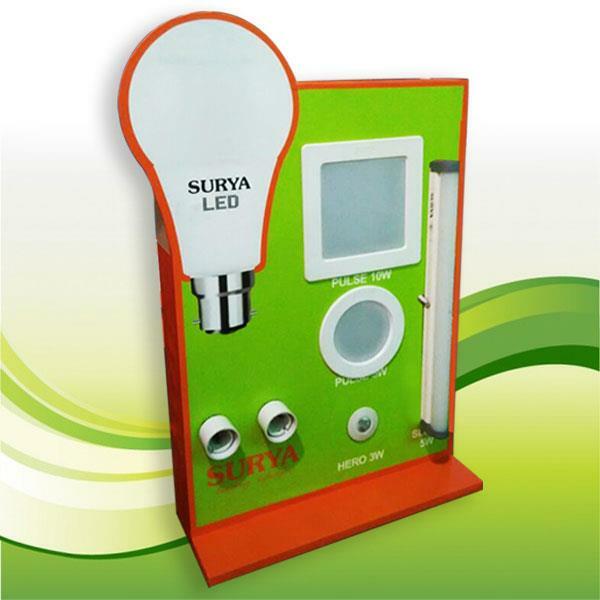 For any queries please contact us on 011-26250161, 26258638 or checkout our website www.sriyug.in . 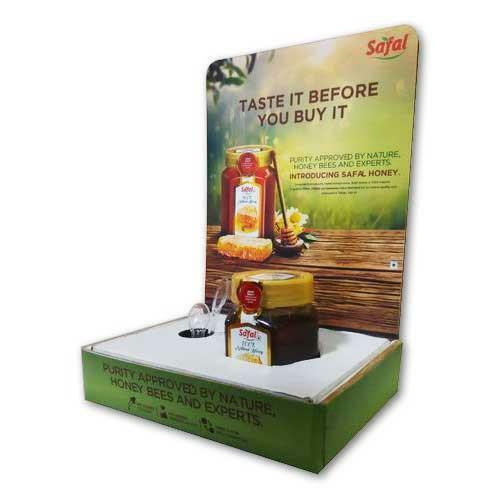 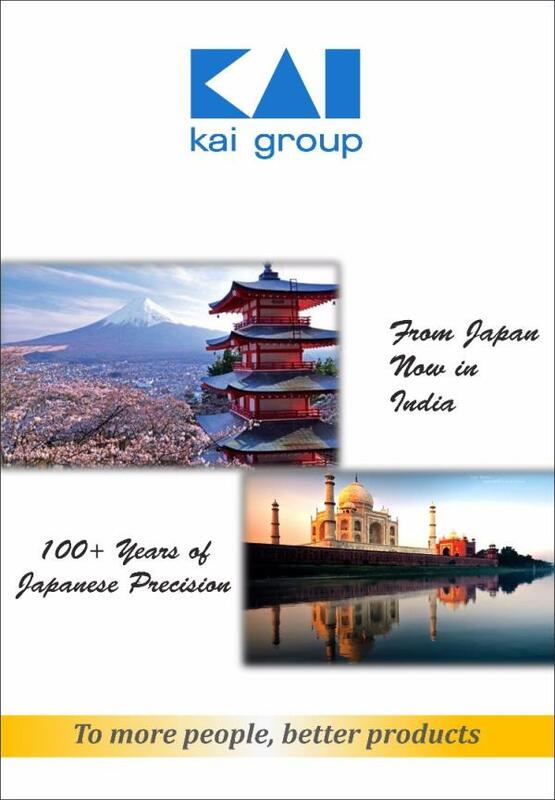 Custom Flip Book Printing Services in India Sriyug Print Production is one of the competitive production houses offering custom flip book printing services in India to our esteemed clients. 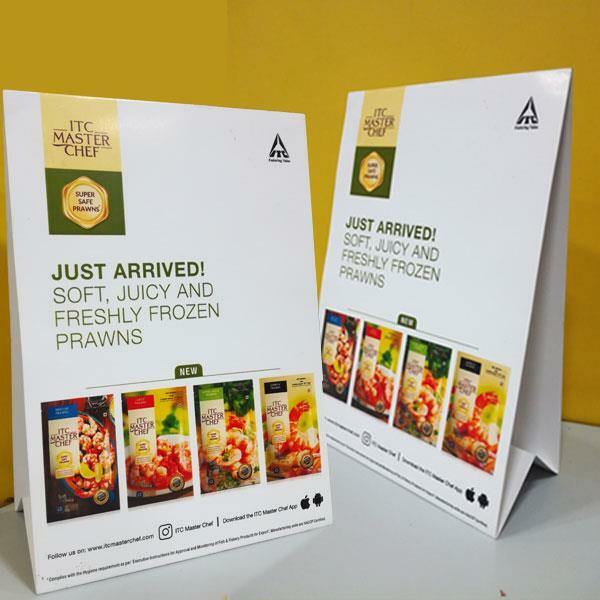 A custom flip book is a great way to inform about a special human life story, product, service or solution very effectively. 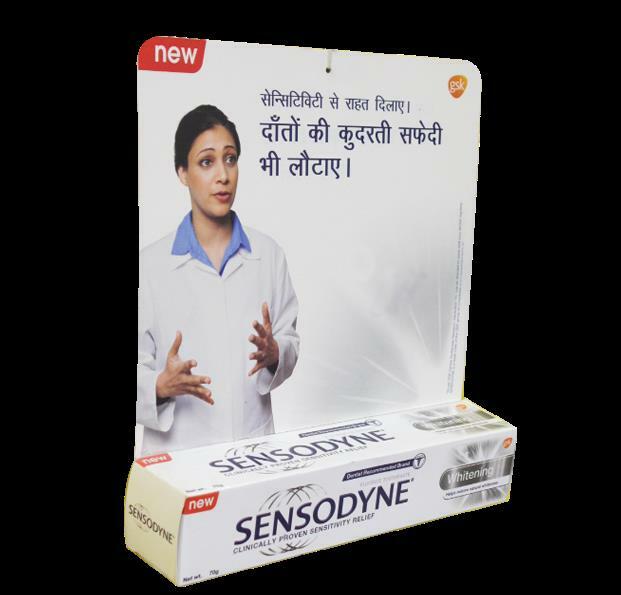 For any queries please contact us on 011-26250161, 26258638 or checkout our page www.sriyug.net . 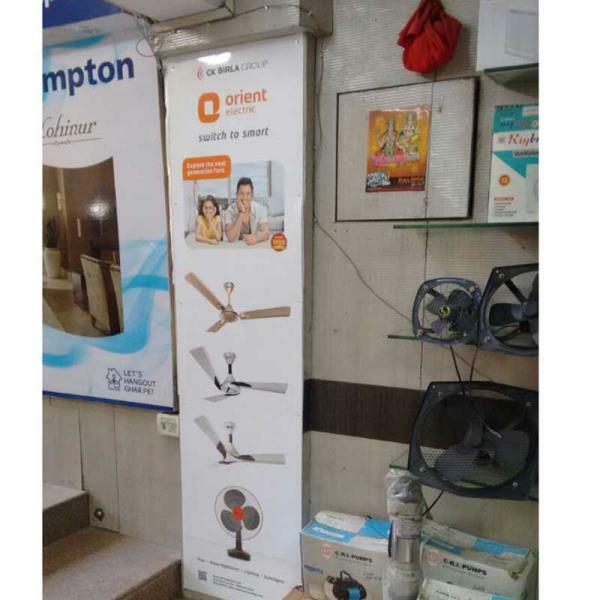 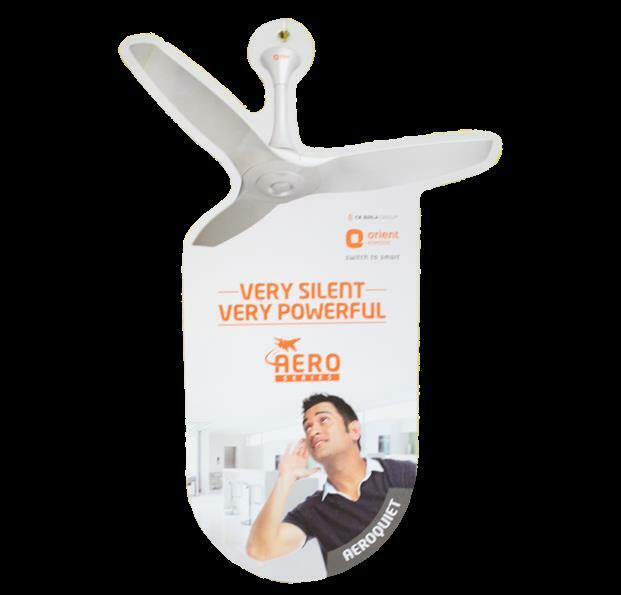 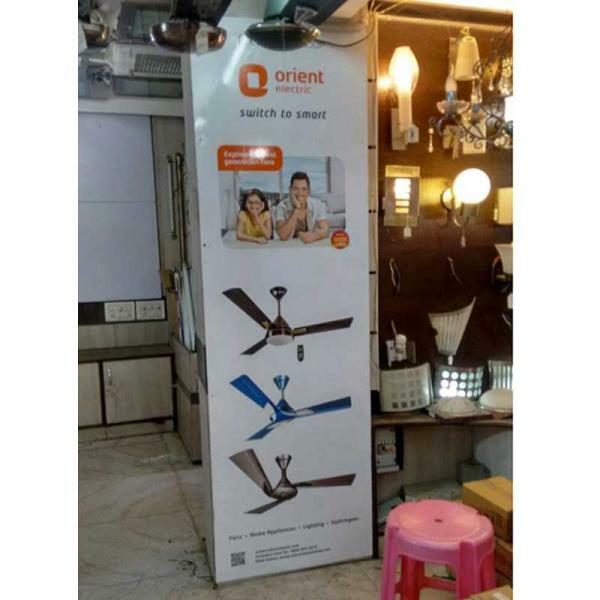 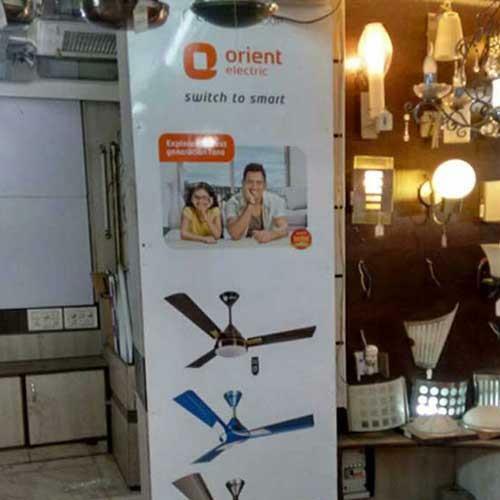 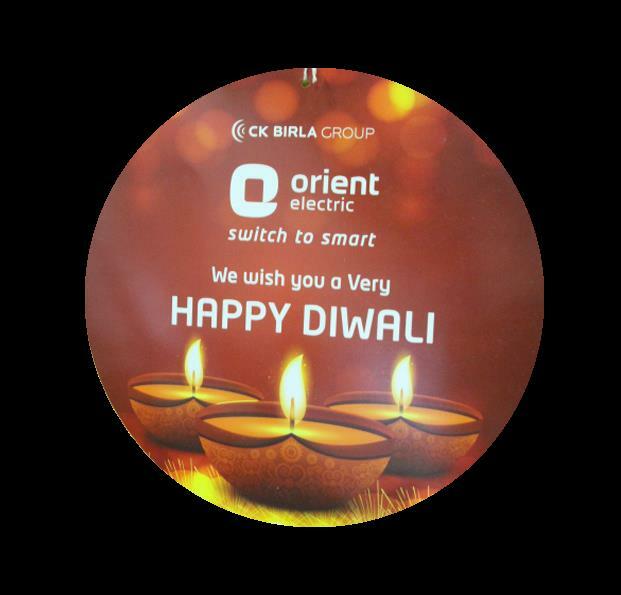 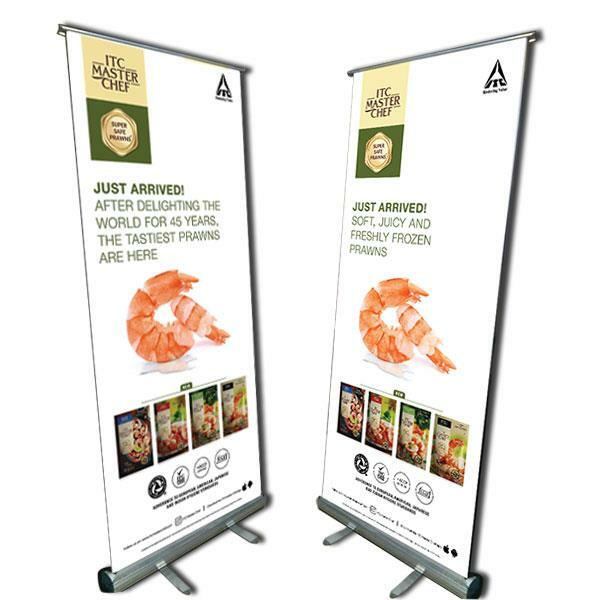 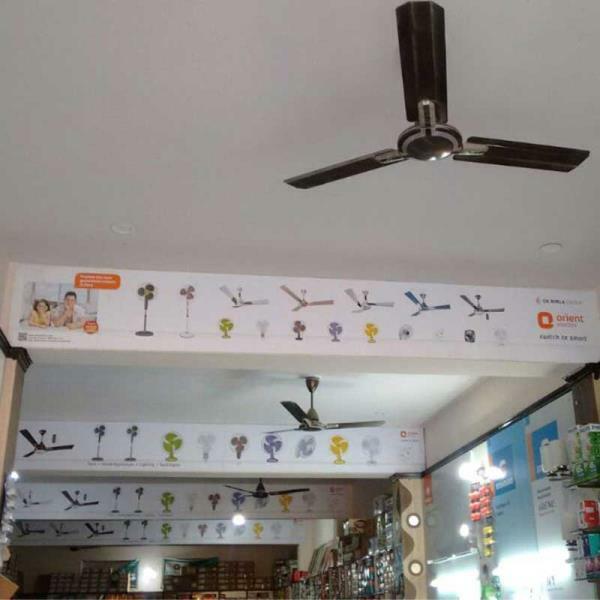 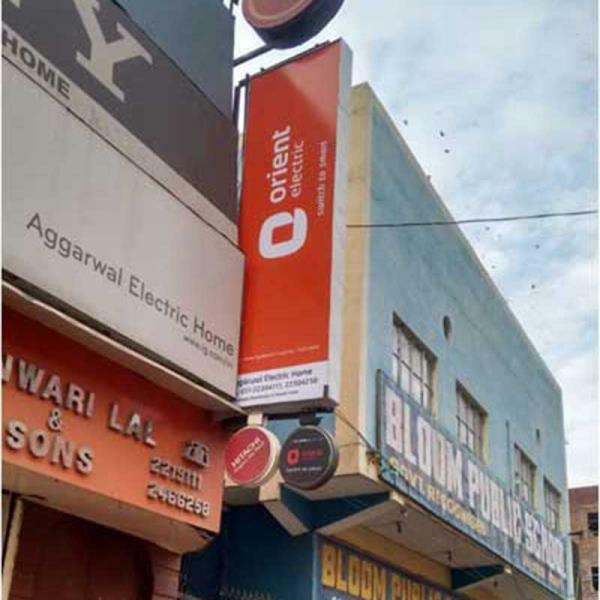 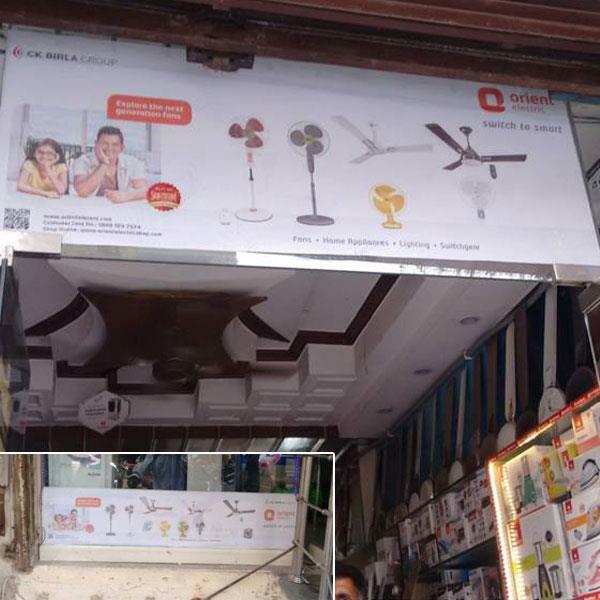 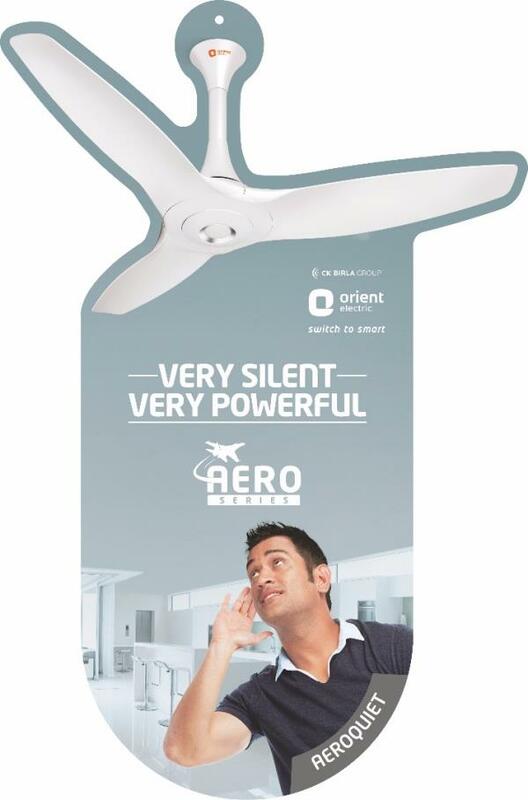 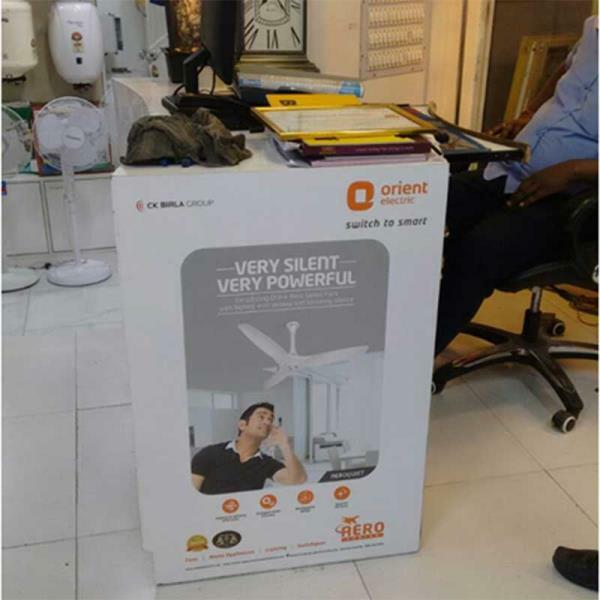 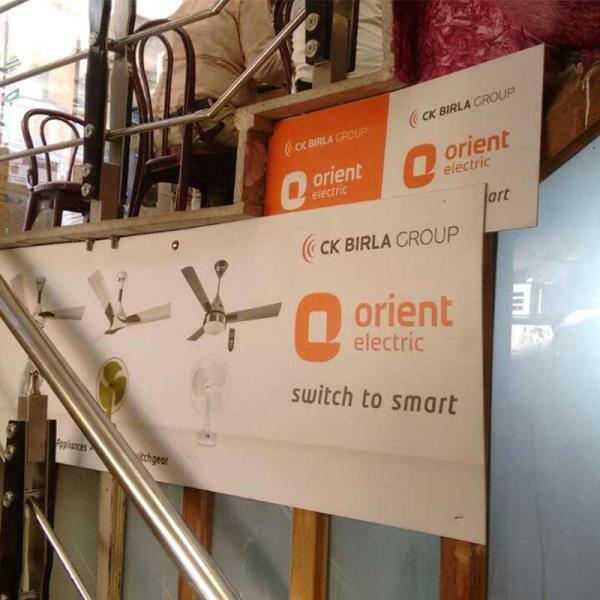 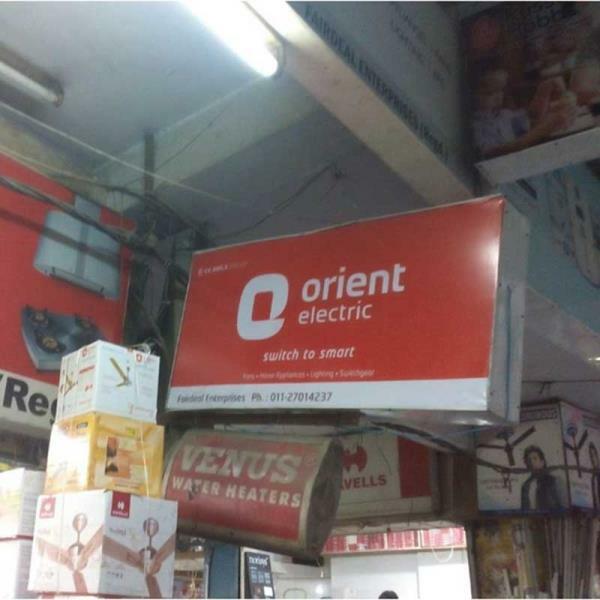 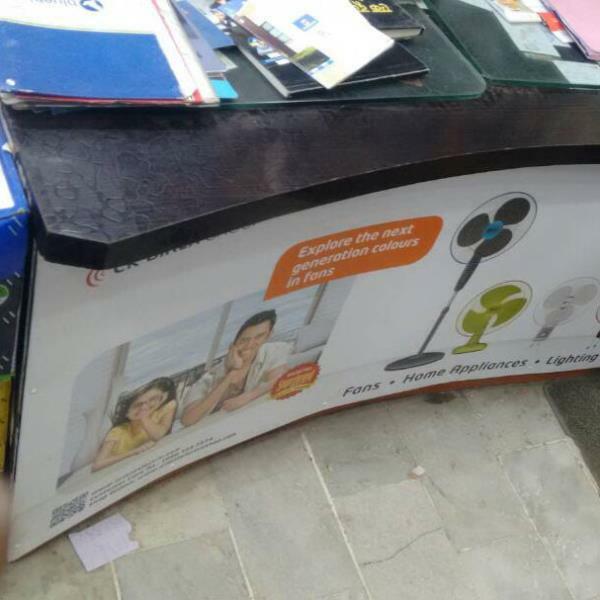 Advertising Danglers Printing Services in India We are offering custom Advertising Dangler Printing Services in India. 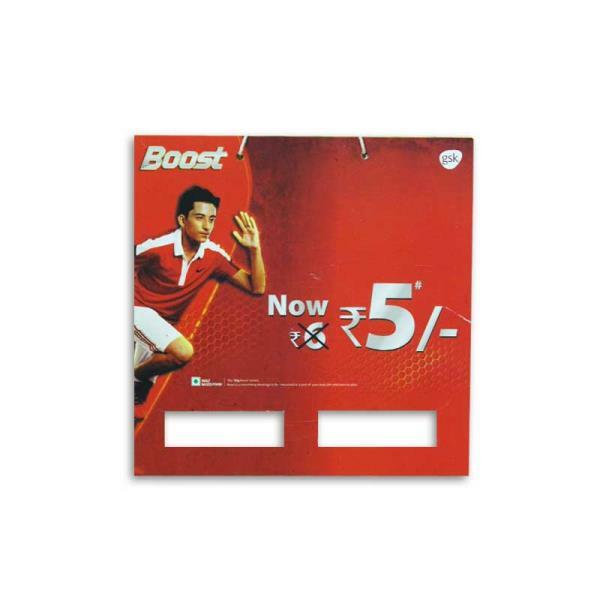 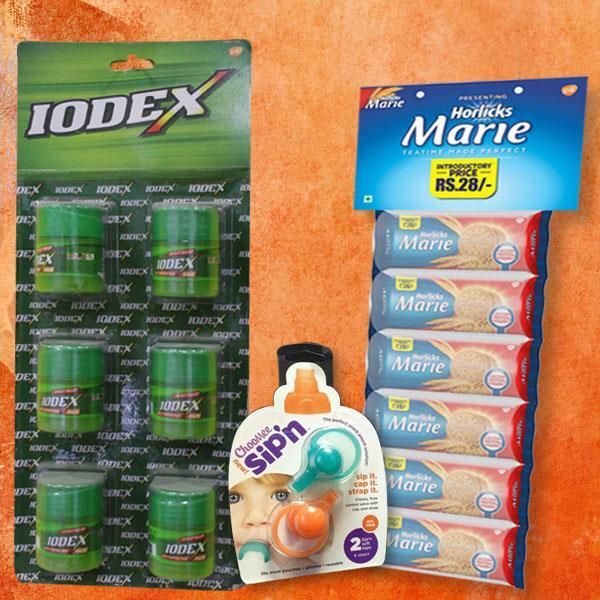 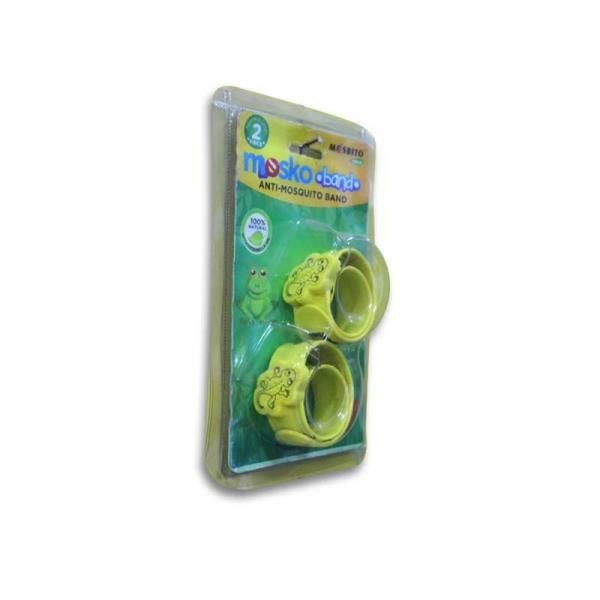 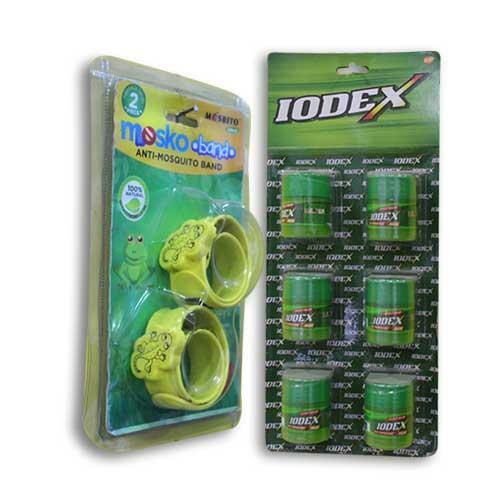 Danglers are advertising materials used for marketing and promotion of the products. 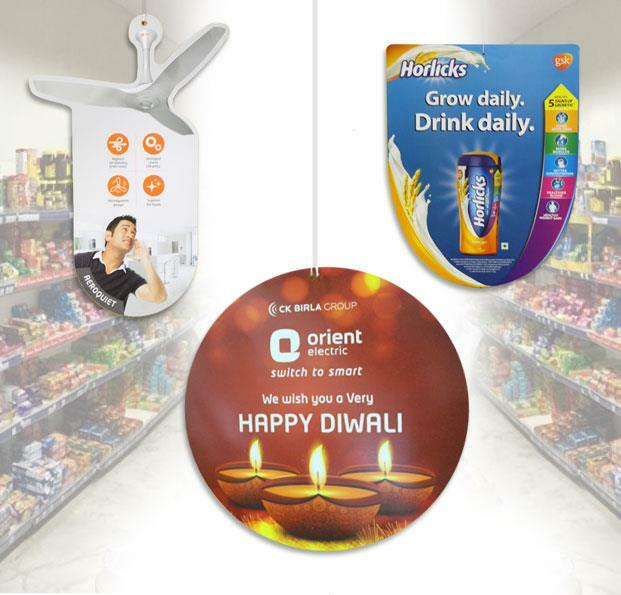 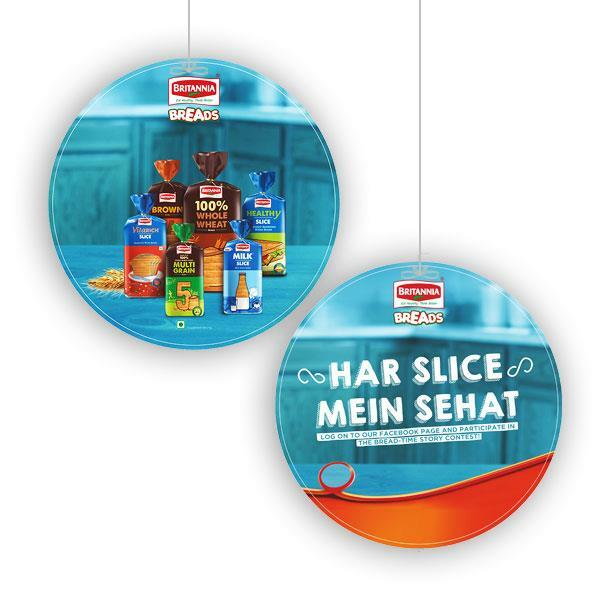 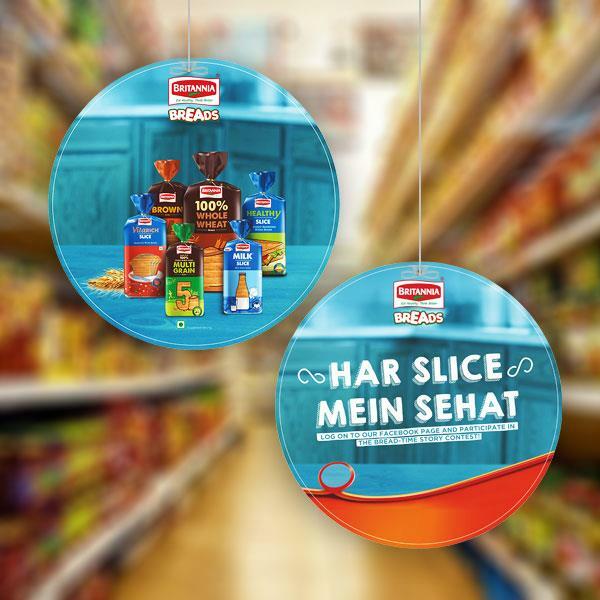 Printed multicolored promotional danglers are ideally used for product promotion in a classic way. 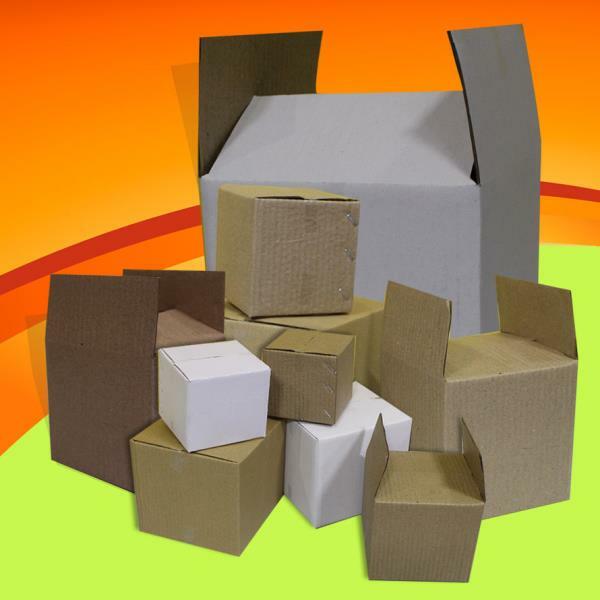 Normally designed in circle, square, rectangle, rhombus or in any customized shape. 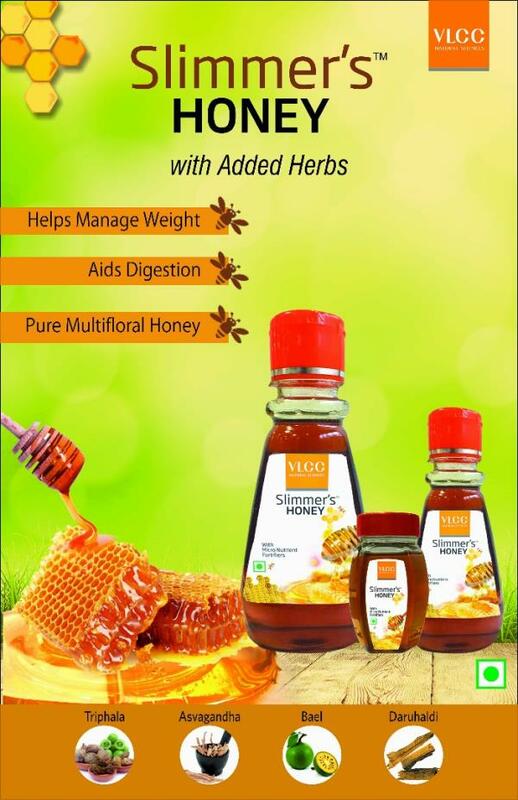 For any queries please contact us on 011-26250161, 26258638 or checkout our page www.sriyug.net . 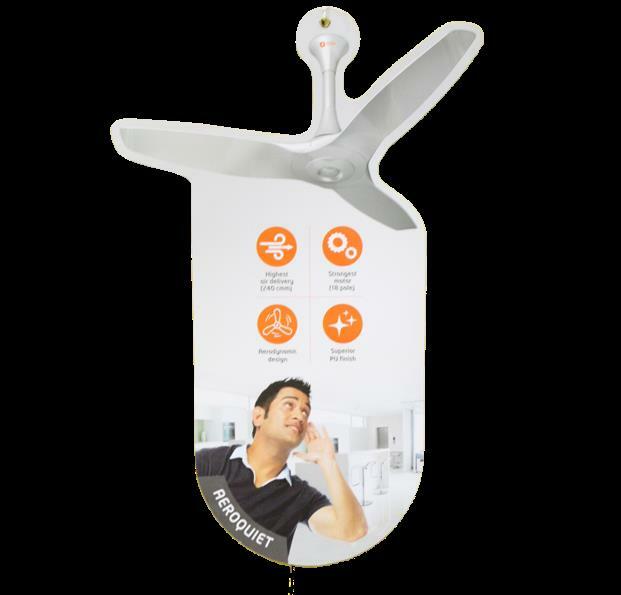 Promotional Parasite Hanger printing Services in India Sriyug Print production is proud to offer some of the highest quality full colour Promotional Parasite Hanger printing services in India. 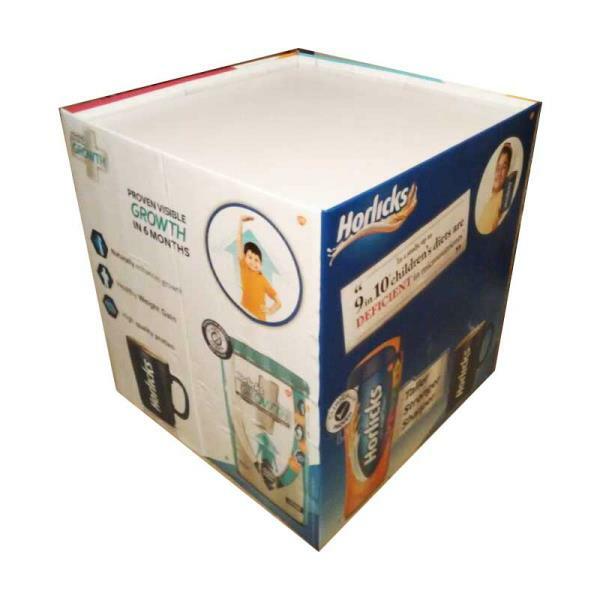 These are available in customized shapes, bright colours and in different sizes for printing and branding. 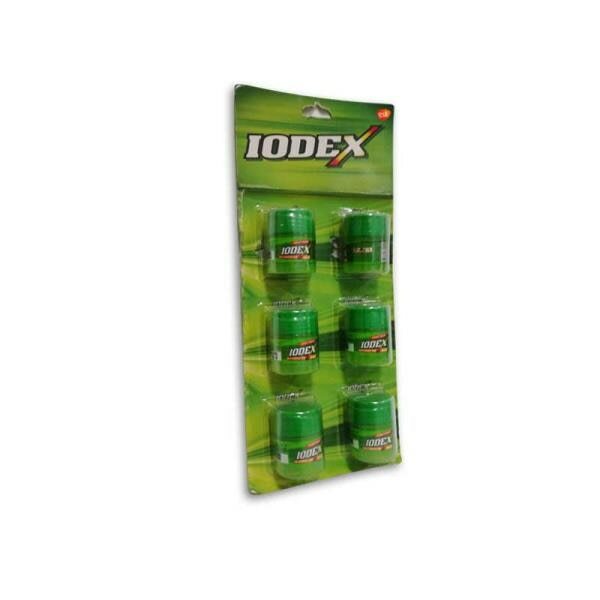 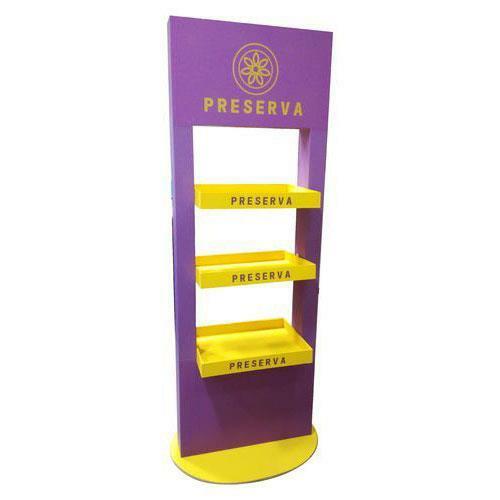 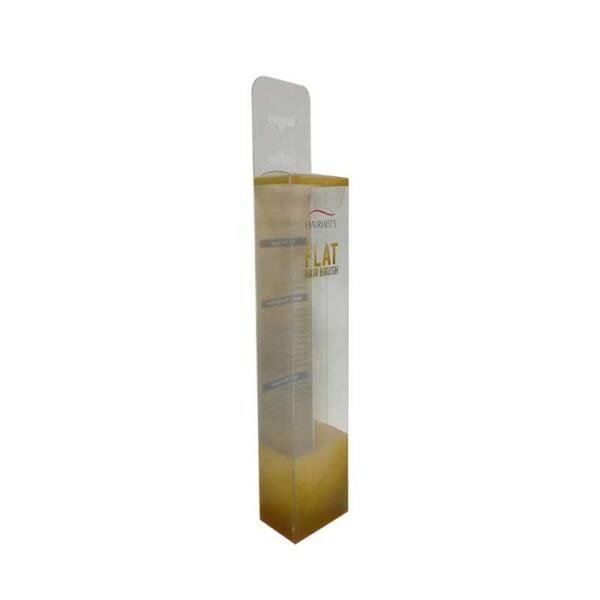 The corrugated Promotional Parasite Hanger is a modern promotional display item which attracts the customer very easily. 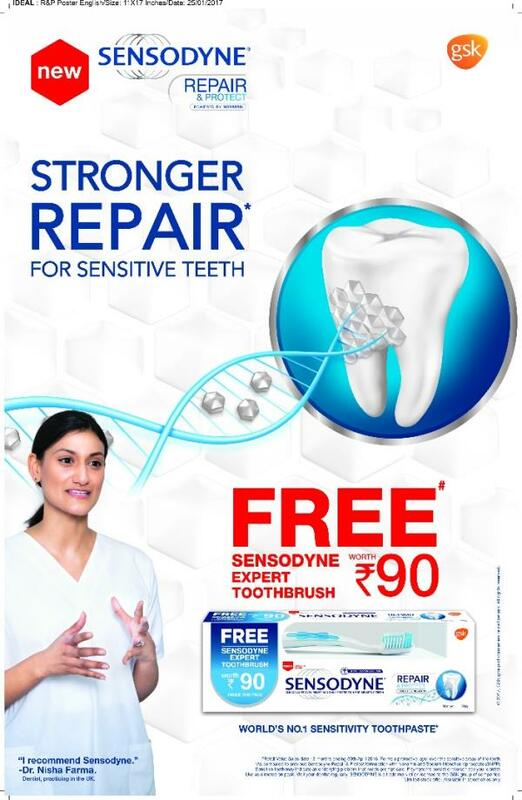 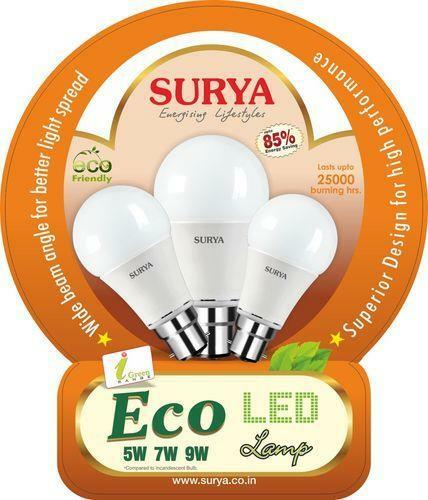 For any queries please contact us on 011-26250161, 26258638 or checkout our page www.sriyug.net . 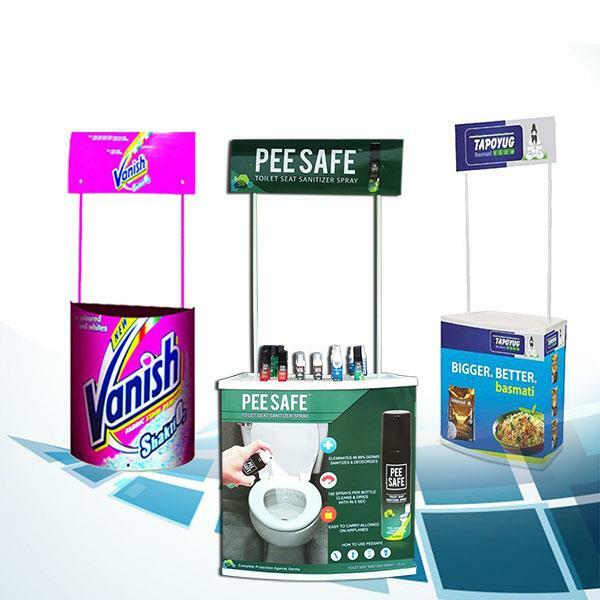 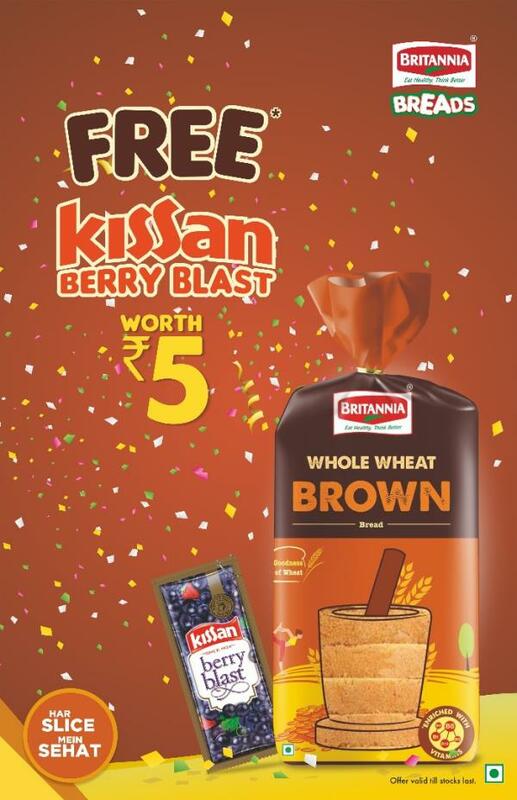 Promotional Bunting Printing Services in Delhi NCR We are Delhi based leading printing company for providing creative bunting. 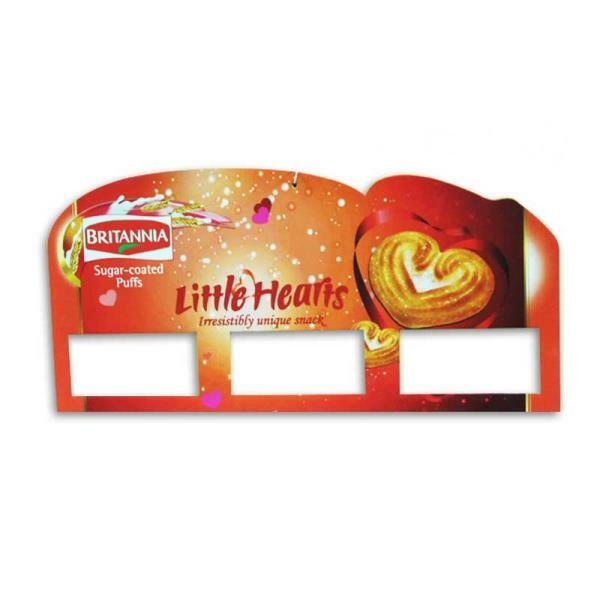 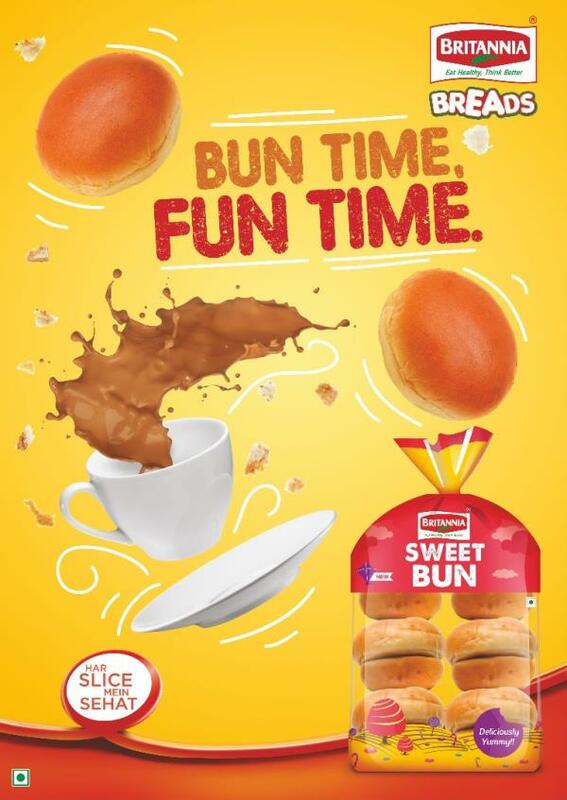 Buntings are the most appropriate low cost item for short-term advertising. 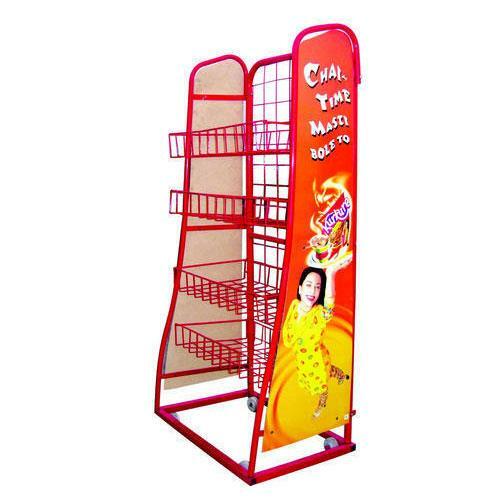 This type of product can be utilized in cultural or sports event, product or event campaign, launching of new products etc. 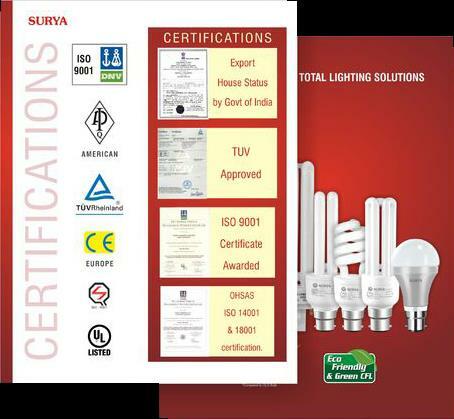 For any queries please contact us on 011-26250161, 26258638 or checkout our website www.sriyug.in .